We recently talked about the importance of an aligned staff development framework in your school or Trust, and our first point was to make sure your objectives are SMART – Specific, Measurable, Attainable, Relevant, and Timely. SMART objectives are a common project management tool, and can be set for an individual staff member, for a department, a school, or even as a vision for an entire Trust. So, what are the benefits of SMART objectives for staff management, and how do you make sure you’re getting them? Specificity is important because it means your staff will always have a clear sense of direction. Wanting to improve attendance may be your overarching goal, but your staff will be listless and their attempts to do so may rub up against one another if they each have that as their own personal objective. A more specific school objective would be “improve on last year’s attendance across the board in every year group”. Then, your Heads of Year would have even more specific attendance objectives such as “meet with the parents of every persistent absentee in Year 5, to create personal attendance strategies“. In this way, your staff all know how they’re contributing to your targets. This will give their daily tasks a sense of genuine purpose, and help them prioritise their time. To check if your staff objectives are specific enough, ask yourself; is this objective focused on this one person’s role in the school? Am I confident this objective won’t be misconstrued? Measurability is important to consider for practical reasons. You need to know if your efforts are effective so that you can build on them next term or next year, and you can’t know that unless you’re somehow measuring them. When you set a staff member’s objective, consider how it will be reviewed in three months time. Try not to set objectives that will require a significant admin burden to measure – it’s best to use metrics which are already recorded by the tools at your disposal. For instance, the Head of Year target above, to meet with the parents of every persistent absentee in Year 5, would be very difficult if you didn’t already have a way of reporting on persistent absentees by year group and easily making their meeting records. Remember that ‘measurable’ doesn’t necessarily mean ‘measured by hard data’. A classroom teacher, for instance, might have a target of achieving positive feedback in every lesson observation that year. If you decide how you’re going to measure your targets up front, you remove any disputes and headaches from the performance review process, and ensure that staff members always know how well they’re doing. It’s important to make sure your objectives are challenging, yet realistic. Give your staff members something aim for, but make sure the target is within range. 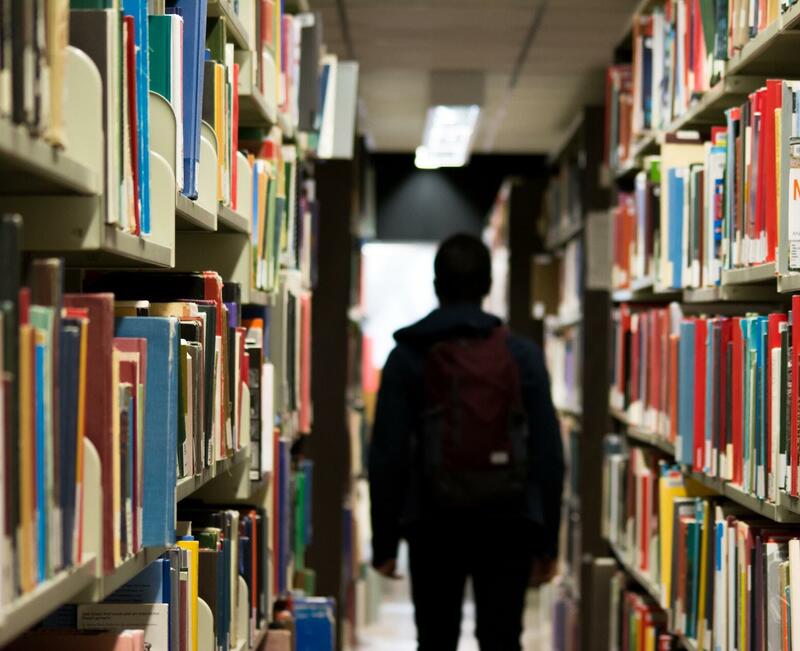 Getting to a 97% attendance average this term is a very specific and measurable goal for your school, but could end up being pretty demoralising if your current attendance is 85%. If a goal is overwhelmingly optimistic, it’s harder to work out where to start, and stressful to invest energy into any one approach. Individual staff abilities should also be considered – do they have enough training in their role to complete this objective? Will they need any help? Do they feel confident that they can succeed, and if not then how can you as a manager instill that confidence in them? Making sure your objectives are relevant has obvious surface level benefits – there’s no point telling your staff to do something that has nothing to do with the school or its students. Relevance has a more refined meaning though; individual staff objectives should be relevant to their team’s current objective, which should be relevant to the school’s current overarching objectives, and so on. At the top level, creating a very clear improvement plan will help all of your school or Trust’s line managers to set relevant individual goals for their staff. If staff goals are all very relevant, the right person will always be completing the right task. Relevant objectives also help staff improve their skills in their chosen career. To test whether an objective is relevant enough, ask yourself if it’s contributing both to the goals of the school and the purpose of that individual’s job role. Every objective should be time bound, both to make sure there’s a defined end or review date, and to make sure your staff member is performing tasks at a relevant time in relation to their context. In a school or Trust context, this generally means binding objectives to the academic year. You should be able to decide whether an objective is a short term goal which should be finished by the end of term, such as to support students in achieving their mock exam target marks, or whether an objective is a longer term project that could take all academic year with termly check ins, such as to improve homework submission rates across a department. The benefit of this is that your staff member will have the time they need to achieve their objective and will be achieving them in time to contribute to your broader goals for the school. To check if an objective is timely, ask yourself; is this the right time of year to attempt this objective? Have I provided enough time to succeed? Will it be complete in time to fit in with our overall improvement plan? However you track your staff performance, whether through Arbor MIS or any other system, SMART is a useful framework to keep in mind. The best performance objectives will instill a sense of purpose, make task prioritisation easy, and give your staff a clear direction for the year ahead. Download a PDF checklist of this advice here, or read more advice on improving school and Trust operations here. 600 schools & MATs are now using Arbor MIS! Last week, we reached an exciting milestone – 600 schools have now switched MIS to Arbor to transform the way they work! Of this 600, 485 are primary schools, 60 are secondary schools and 67 are special schools. We also work with 51 MATs, including Bridge Multi-Academy Trust, United Learning, and REAch2, the largest primary MAT in the UK. Schools normally decide to switch to Arbor’s smart, cloud-based MIS to bring all of their data into one place, which not only saves money on server costs & licensing fees, but gives teachers their time back in the classroom to concentrate on their pupils. To celebrate our 600th school, we’ve put together a few of our favourite stories that have been sent in to us by schools using Arbor. From saving hours of time per week following up on absent students, to being able to spot trends more quickly & improve student outcomes, read on to find out how our schools are using Arbor to improve the way they work. Parkroyal’s admin server was coming up for renewal a couple of years ago, and they were quoted around £10,000 to replace it. Instead of paying this fee, they decided to move everything onto the cloud. They put their curriculum into Google, switched MIS to Arbor, and their finance system to SAGE. They invested in Chromebooks for the staff. 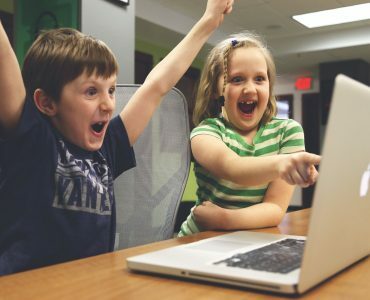 They now have only one server on-site and it’s not out of choice – they have to use it to interact with the Local Authority Child Services system, which can only be done through the LA intranet. They were really glad they made the decision to switch to Arbor when the school needed to carry out building works on the school office in 2017. 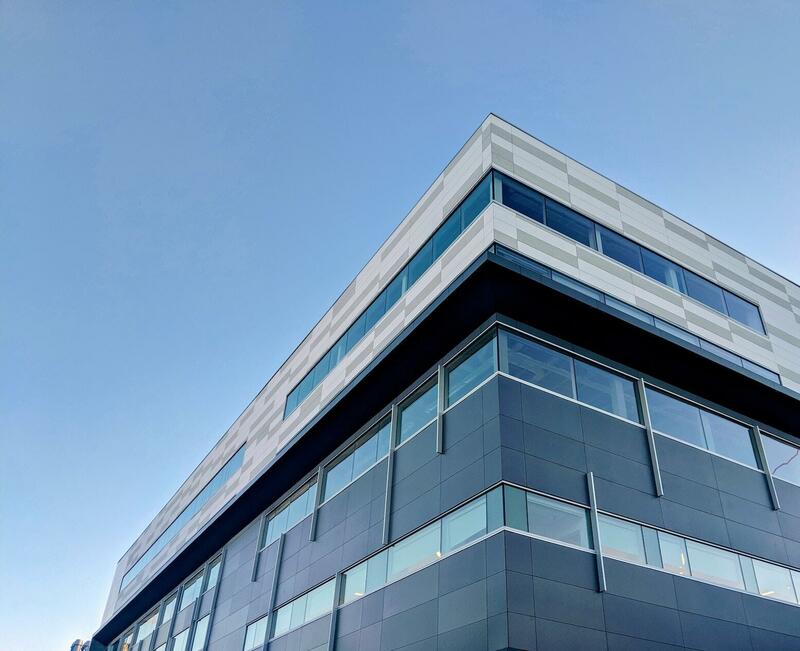 Previously, it would have cost thousands of pounds to move and safely rewire the servers into the temporary portacabin, but because they’d moved everything to the cloud, all they had to do was carry their desks and laptops downstairs, connect to wifi and log in to Arbor! Castle Hill had a couple of issues with parent comms before they moved to Arbor, because almost everything was based on paper. When children showed good or bad behaviour, teachers would write a note in the student’s planner, which the child would then take home for parents to check. 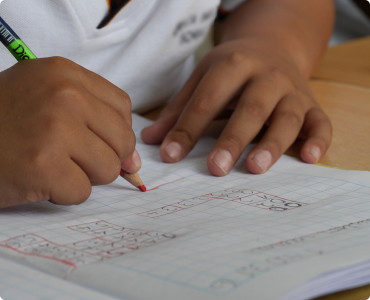 However, children couldn’t always be relied upon to take their planners home with them – especially if they’d been given a negative behaviour note from their teacher! Now they’ve switched to Arbor, the staff at Castle Hill log behaviour points in the system, which automatically sends an email to the relevant guardians. Parents can also log into their Parent Portal for a live update on how their children are doing. Children are now better behaved because they know that their parents know what they’ve been up to, and the school has less paperwork to get through! At St Paul’s, teachers used to use “Key Performance Indicator” tick-sheets in every child’s book, that they would mark every time a student met an objective. Each term, this handwritten data was inputted into Target Tracker, which the Headteacher, Anthony David, would then export into Excel for analysis. This resulted in a high paper burden, and if a child lost their book, a lot of data would disappear along with it. It became difficult to keep track. Since moving to Arbor, St Paul’s have been using our Curriculum Tracker to track children’s KPIs. This feeds straight through into our Summative Tracker, so that rather than manually inputting it, teachers can see pupil progress analysis automatically. They then use this data to create automatic intervention groups for children who are struggling. If you’re interested in finding out more about how Arbor could transform the way your school operates, get in touch! You can request a free demo and a chat with your local Partnership Manager anytime through the contact form on our website, or by emailing tellmemore@arbor-education.com or calling 0208 050 1028. Why run a systems audit in the first place? Over the years, many schools accumulate a variety of IT systems or software. These systems were initially installed to help make things run more smoothly across the school but, over time, they’ve inevitably become outdated and no longer fit with the day-to-day running of the school. Why run a systems audit in the first place? Over the years, many schools accumulate a variety of IT systems or software. These systems were initially installed to help make things run more smoothly across the school but, over time, they’ve inevitably become outdated and no longer fit with the day-to-day running of the school. In many cases, school leaders can forget to question whether a piece of software is continuing to help improve the school, or whether it’s there simply because it worked in the past. What does it do that no one else can? What about it specifically do they like and not like? Is staff engagement with that system high and if not, why? For example, a school may have been using a behaviour tracking software outside of their MIS for many years and are happy with how it charts points over time, but they don’t use any of the other features that the software offers. In cases like this, and with many other systems that are an added cost, it’s worth questioning if there are alternative ways of working within one system to consolidate both time and funds. We encourage schools to create a side-by-side price comparison of the cost of each third party product to prompt an internal conversation about the practicalities and usefulness of each system, and whether it can be replaced by a new system altogether. This practice promotes the importance of an audit in deciding if there are added benefits to keeping a specific system, or if it’s time to part ways. 1. Ask members of staff from all areas of the school when running your audit – don’t assume that one person will know everything that everyone is using! This value judgement can’t entirely be based on price, although that is important – you also have to question why you had several systems in the first place. Is one of them more user friendly? Is it quick to train new staff on? Does it save your teachers a lot of time? Will you really get the best deal just by picking between these two programs, or if you’re switching anyway should you choose an entirely new system altogether? It’s quite possible that with a change in mindset, cutting down your third party systems may open more doors than it closes, and create opportunities to improve how you work. 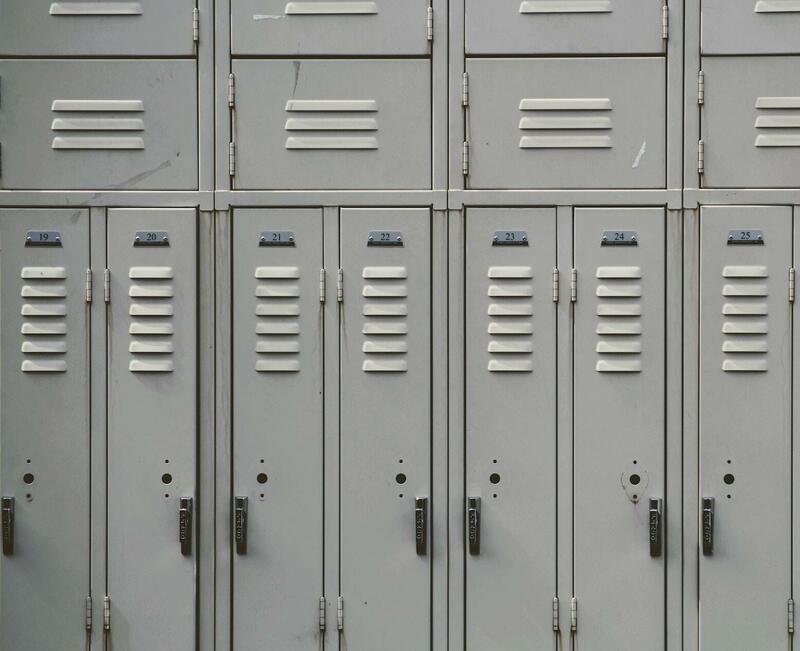 We understand that this takes time, but we’ve also seen first hand how many schools love the fact that Arbor can bring all of their data and systems into one central system, meaning that the number of logins (and passwords!) for staff can be cut down. This results in increased productivity as it ultimately saves staff hours of time manually transferring data between systems – because everything you need is all in one place! If you’re not yet an Arbor MIS customer, you can request a free demo and a chat with your local Partnership Manager anytime through the contact form on our website, or by emailing tellmemore@arbor-education.com or calling 0208 050 1028. At our Manchester MAT conference on 5th December 2018, Frank Norris, Director of the Trust at Co-Op Academies Trust, spoke about the highs and the lows of trust’s journey so far, focusing on how they’ve created a shared culture and endeavoured to make sure schools are fully onboard with that culture. He began by drawing a series of thought-provoking comparisons between the structures of the big banks that went down in the 2008 financial crisis, and the structures of multi-academy trusts today. We’ve transcribed the first half of his presentation below. The Co-Op Academies Trust have a row of desks on the eighth floor of this building. There are no private offices. The CEO of the company was here this morning at the coffee shop, queuing up with everyone else. We had a chat, and he wanted to know what I was doing this morning, so I told him I was going down to speak at Arbor’s MAT conference. It’s a very open environment. As a trust, we have become immersed in the Co-Op, and what I want to do today is tell you a little bit about the journey that we’ve been on in order to get where we are now. I won’t pretend there haven’t been pitfalls – it’s not been easy, and there have been some really bad things that have happened within Co-Op that have had an impact on us – but there have been some great moments, too. This idea of a journey is something I want to focus on. We are the largest business-sponsored academy trust in the country, and we have 18 schools at the moment. The Co-Op have invested £3.6 million into our trust at a time when they’ve taken £100 million pounds out of the business, so they’ve made a big commitment. The CEO of Co-Op, Steve Murrells, was on BBC Radio 5 yesterday morning, explaining why they made the decision to sponsor us (you can listen here). We’re hoping that this will be a model that other ethically-minded businesses (of which there are some!) may want to follow. James has invited me today to share a little bit about our culture here at the Co-Op, but I want to start by talking about the financial crisis of 2008. When the crisis came about, I was fascinated in finding out why banks like Northern Rock, Lehman Brothers, RBS, Britannia Building Society & the Co-Op bank all fell over during the financial crash, and the reasons why no-one’s been sent to jail for this. There is always a pressure to maintain numbers. In MAT terms, that could be GCSE results, KS2 results, or how many schools you’re going to get to by the end of the year. Some boards are completely scared of the trust’s CEO. I can safely say that if this is the case, no effective decisions are ever going to be made. Young people in the business world often think they have the silver bullet. I’ve seen young CEOs with a larger-than-life character that could railroad the entire business forward, but this then sets up a problem for the board who are unable to confront that person. It’s dangerous territory. If your board isn’t pushing back on you as a CEO at least 3 times in a meeting, they’re not doing their job. So think about the last trust board meeting you had. How many times was your CEO challenged about an issue? We’ve got a trust board meeting tomorrow, and trust me, it’s a tough day! We don’t buy any products or services from the Co-Op, and there are no third-party transactions between us and the Co-Op. It would be easy and we’d probably be able to save quite a lot of money, but we don’t do that because we can see the difficulties that would emerge over time. It’s a cultural thing. Lots of people think that they have the answer, because they’ve innovated somewhere else and it worked. 9 times out of 10, they’re wrong. People have been willing to overlook bad behaviour in lieu of other good qualities. This can’t be allowed to happen. To sum up, you only need 2 or 3 of the issues above on your board, according to Jennings, and you are looking at a big problem. Those are the reasons why the banks went down. The chairman of the Co-Op Bank was a methodist minister, who knew nothing about finance, but nobody on the board said anything. They were scared, and they were under pressure to get the numbers. The moral of the story here is that if you don’t get the culture of your board right, your trust won’t survive. In the Co-Op Trusts’ case, the strength of our Trust is down to the quality of the people that we have on our board. I recently spoke at our Manchester MAT Conference in Brighton on how culture beats strategy when MATs start thinking about centralising data, operations and people. At Arbor we talk about 4 (broad) types of MAT cultures, and how the degree of MAT alignment vs school autonomy dictates how you approach scaling systems, processes and people. What we see more and more from the 40 MATs who we provide MIS systems to, and the 100s more we are speaking to is that centralisation of school back office functions such as data, HR, finance and operations is the general direction of travel for all MATs. The debate is centred around the degree, style and pace at which this happens. We’ve gathered feedback about the 4 different ways MATs go about scaling decision making, curriculum & assessment, systems & processes and their central team in the presentation below. See what you think and whether you fit into 1 or more of the categories I describe. This is the final blog in our series offering a new vision for MATs. With a clear vision, based on 6 powerful principles and the development of 6 core competencies, and MAT-wide systems and cultures already put in place, the main focus should be on the systematic development of collaboration. MATs at this stage are also well placed to collaborate beyond the MAT itself, contributing to a self-improving Academy system which is led from the middle. If the work of Stage 2 has already been done, then the underpinning capabilities of Support, Learn, Assess and Communicate are also in place, and will be refined and improved through collaboration. The emphasis now is on building systems, processes and policies to support purposeful collaboration. 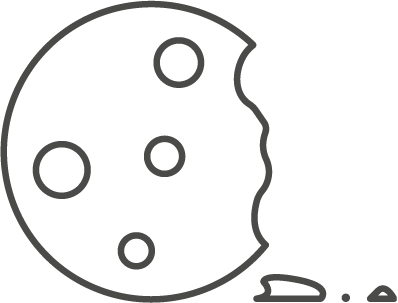 This supports the growth of teams which are focused on improvement, allowing experiments to be tried out, collaboration to grow. Management must support individuals and teams to be highly aligned to the vision, and then encourage groups which will self-identify and form to tackle a problem. David Ross Education Trust operate a ‘Team around the school’ where supporting functions meet with the Principal to fix issues and plan for the future. The Inspiration Trust employ Subject Specialist Leaders’ whose role is to develop Subject Communities, which variously focus on Assessment, Materials and Curriculum resources. Dixons adopt the ‘Agile’ approach used by Spotify, of ‘Squads’ (a group of people who have decided to work together on a common challenge, e.g. learning and teaching of a particular subject and phase),‘Tribes’ (a group of ‘squads’ working on adjacent challenges who can benefit from sharing), Chapters (functional experts who bring different competencies to the squad), Product Leads (the owner of the particular challenge), and ‘Agile Coaches’ (senior leadership whose role is not to direct, but to coach the teams to help them achieve). In this model, Squads will form and finish based on the need to tackle a particular challenge. By this stage I assume a strong IT platform is in place to act as infrastructure for effective collaboration. In particular a strong IT platform will allow sufficient bandwidth and flexibility for anytime/ anywhere collaboration to be supported. 3. Effectiveness – improved systems and structures which allow people to do their job better, and retain staff as a result of less stress. Engagement. Empowered teams, aligned by systems, processes and vision, but free to develop their own groups and solutions, have the potential to be at the heart of taking the Academy system forwards. MAT to MAT support, provide the engine for a self-improving system, which is led from the middle and on a journey from ‘Good to Great’. This blog, the fourth in our series offering a new vision for MATs, describes the second growth phase of MATs. At this pivotal stage, a large number of changes are often needed to capabilities and systems across the MAT in order to create an “integrated MAT”. As the MAT grows larger, there is a need for more integration between Academies, to improve educational impact, and start to achieve efficiencies. Common systems, processes and policies need to be put in place. This is a big strain on the central team, requiring discussion, collaboration and expertise. In a MAT which has grown primarily through Convertor Academies, supporting services will typically be standardised more readily than education activities. In a Sponsored MAT, the opposite may be true, with a strong set of educational practices and non-negotiables in place before supporting systems are centralised. Most MATs will create commonality around formative and/ or summative assessment, but with a variety of models to achieve this. Some will run central/ regional School Improvement teams, with intervention where required. Others will set up Subject Leadership roles, or working groups/ communities for other types of improvement. Most MATs of above 4 Academies will create a central team with professional leadership of Finance, HR, and Operations (typically covering ICT, Estates and Governance). These leaders are responsible for working with Principals to put in place the central systems, policies and processes below. In many MATs, these leaders have dotted rather than direct line management responsibility for Academy teams who are implementing the policies (e.g. the local finance staff, caretakers, ICT Technicians). Some MATs are comfortable to stay in this arrangement. Others find that the cost of running a central team as well as Academy teams is unsustainable, and that the Academy teams start to become confused about whether to take ultimate direction from their Principal, or Head Office, and move to end-to-end functional management of support staff. This allows much more scope to redesign roles, processes and systems. These organisational arrangements need to be supported with strong systems, which could incude: Cashless catering, Asset management, IT system User Authentication, Biometrics, Digital signage, Parent Payments, Building Management System, Applicant tracking system, Management Information System. Standardised and centralised processes should be put in place for Finance, ICT, Estates (Health and Safety, Premises Management), Workforce policies (including Abuse, Fraud, Pay& Reward, Capability, Disciplinary, Equality, Flexi time, expenses, hospitality, performance management, redundancy, Code of Conduct, Teacher Training, Recruitment and Induction), and governance (MAT and Academy standard Governance policies, Schemes of Delegation). There should also be centralisation of Procurement & Contract Management of ICT infrastructure, software, broadband/ telephony, insurance energy, break fix, construction, Agency supply, catering, photocopying, legal services, audit, hard and soft Facilities Management. This will include consideration of Cloud-based systems, supporting Academies to have the right devices to achieve the educational vision, and delivery affordably, whether through a shared service within the MAT, or an outsourced contract. Shared systems to support learning will be a priority for many MATs at this stage, although some will chose to leave some of the below to Academy level decision making. Shared learning systems include: Admissions; Attendance management and reporting; Behaviour management and reporting; SEN planning; Learning management system/ VLE; Interventions tracking; Library/ resource management; Classroom management; Timetable generation; Seat planning. A number of shared process should also be considered, including: development of curriculum resources/ Lesson planning and preparation/ SoW; Research to understand practices and theories within and outside the MAT; behaviour management and reporting. Some MATs will provide support for the improvement of physical learning spaces to support educational philosophy (e.g. lighting, audio, availability of charging for ICT, wireless networks), although others will find this difficult to impossible depending on available funds and existing estates conditions. Shared policies at this point should typically include Admissions, Attendance , Student Behaviour/ Pastoral support, Inclusion/ Special Educational Needs. There will be legitimate exceptions due to context. A Mat of this size should consider shared systems for Formative/ summative Assessment, Progress tracking, Data analysis, Examinations Results Analysis. There may also be shared systems for marking, and an alignment of Primary Assessment models/ Exam Boards. Alongside this, MATs should convene teacher led groups to investgate shared policies for marking (or not marking!). 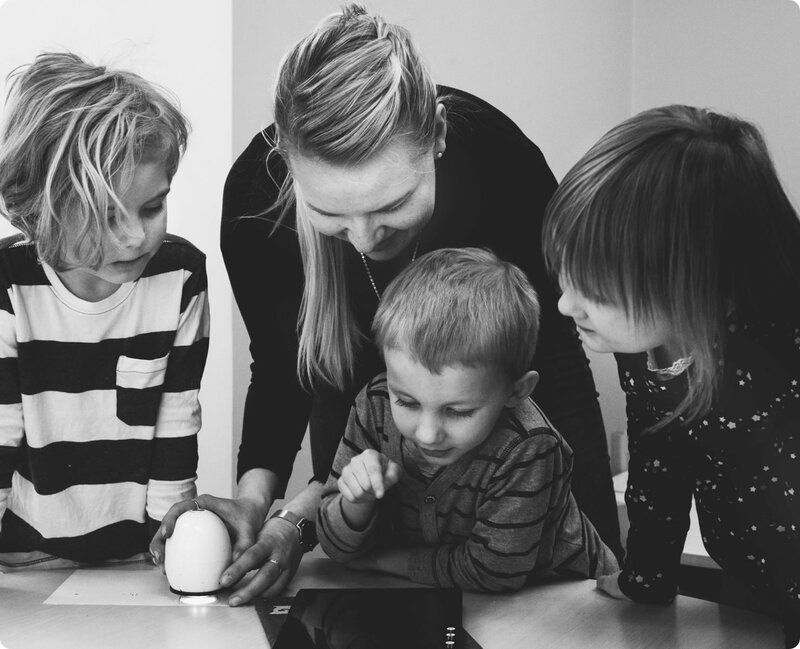 MAT-wide systems can be put in place for communicating with parents and students, Parents evening booking, Homework setting, Reporting to parents and Visitor management. There could also be alignment or centralisation of some communication processes, allowing for efficiencies and improvements to quality. Home school agreement policies can also be aligned. Shared development systems can include staff CPD/ lesson observation, and staff performance management. By aligning on a system, more time and energy can be spent on the more value-adding activity of refining which types of approach to development and support hae the most positive impact. In terms of processes, at this point a MAT will need to have formal roles or groups to support collaboration and alignment. These roles may be distributed amongst Academy Principals, middles leaders, teacher or other staff, or held centrally/ regionally. In the previous 2 blogs in this series I described the need for MATs to sharpen their strategies, and set out 6 principles and core capabilities that should underpin this. In the next 3 blogs I describe how these can be developed during each of the main growth phases of MATs, stating with “putting the basic in place”. The initial focus is on agreeing a common vision and values, alongside basic common systems and processes. These typically focus on school improvement for a Sponsor MAT, or on Supporting Functions (also called ‘Operations’ or ‘Back Office’), for a Convertor MAT. Common systems and policies for Finance (core finance and budgeting), HR (services and Payroll), safeguarding and child protection is a priority. Many will also put in place a common MIS system. As well as the system, most MATs will want to align finance processes quickly, e.g. a common Chart of Accounts and budgeting cycle. Aligned support policies will often include GDPR, FOI, Data Protection, Equal Opportunities and Recruitment. In a Convertor MAT, learning and teaching is largely decided at a school level. In a Sponsored MAT, there may be a strong SIP function, or Executive Headship. In curriculum-driven MATs, e.g. those focused on a knowledge curriculum, this will be a much earlier priority. This means processes for collaborative alignment will be required at an earlier stage as well. Assessment may be undertaken differently in each school, but there are likely to be a termly or more frequent sharing of data. Discussions commence about where and how to align elements of data. As above, if there is an early focus on a core curriculum then assessment will also be standardised at an earlier point. Communications from the Central MAT team are typically few; individual schools continue as the main point of contact with parents/ students. Some light touch shared development may take place, especially for middle and senior leaders. There may also be a shared approach to ITT and induction, especially if there is a Teaching School Alliance within the MAT. Collaboration is vital, but at this stage may be informal, light on systems, and through personal interactions connections between Principals and senior support staff leaders/ managers. More formal systems will be needed if MATs need to make ealier progress on the capabilities below. 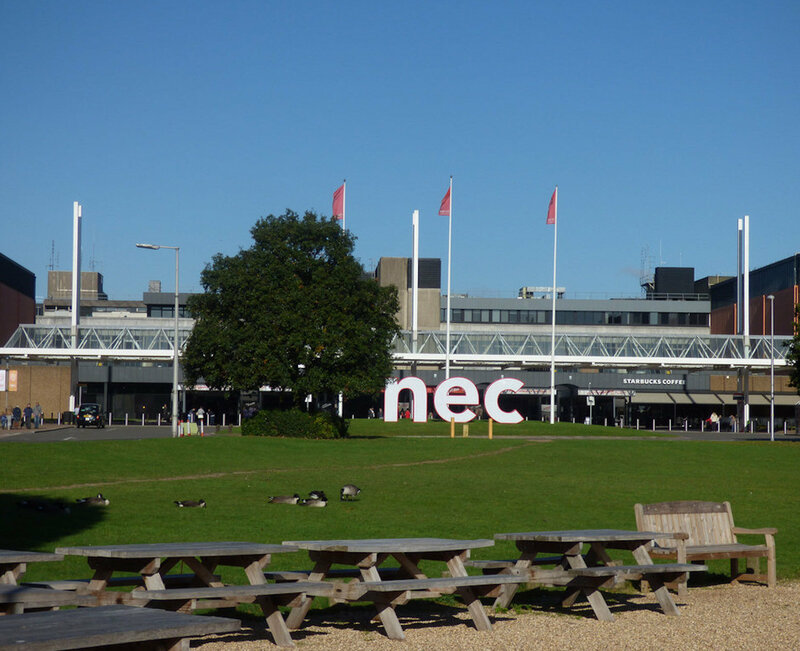 With just a few days to go until the Academies Show Birmingham, we’ve done a quick round-up of 5 of the most informative talks you should go and see whilst you’re there. What: If you’re unsure of exactly what the National Funding Formula will mean for your school & schools across the country, this is a great chance to hear from the experts. Panelists will discuss concerns surrounding the formula’s implementation, including whether pupil premium should be ring-fenced, what effect the proposed 3% limit on annual funding increases will have, and the continuing role of Local Authorities in directing additional funding. Speakers are a mix of business professionals, education experts & practitioners, so this should be an interesting and informative debate! 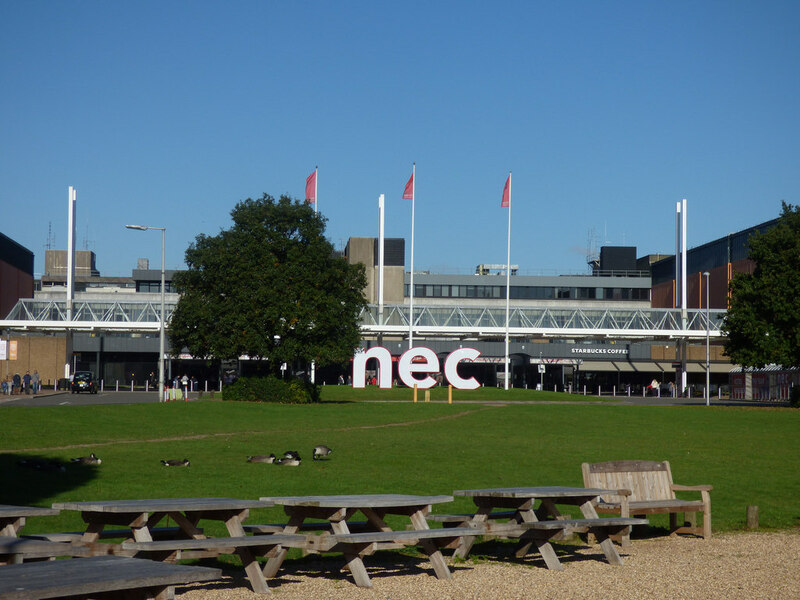 What: In one of his first speaking engagements in his new role, Dominic Herrington, Interim National Schools Commissioner, will be talking on the main stage about the importance of MATs in delivering school improvement. Drawing on his experience as Regional Schools Commissioner for South-East England and South London since 2014, he’ll discuss how the DfE plans to raise school standards in England through academy sponsorship & better provision for MATs. Whether you’re already in a MAT, thinking about joining one, or have yet to make up your mind on them, this is a great chance to hear from a highly-placed decision-maker about future plans for MATs in England. What: Wayne Norrie was appointed the CEO of the Greenwood Academies Trust (GAT) in 2016. GAT currently has 34 academies (23 primary, 8 secondary & 3 special), all located in areas of the East Midlands with the highest levels of social deprivation. With over 10 years of experience supporting schools in challenging circumstances, Wayne will discuss how joining a MAT can provide academies with additional support and how incorporating failing schools into a successful MAT can help improve pupil outcomes. 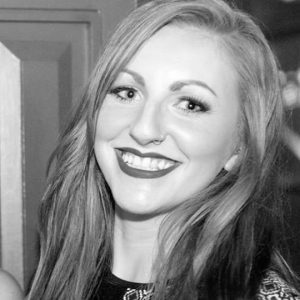 What: Leora Cruddas has over 15 years experience in the Education sector. 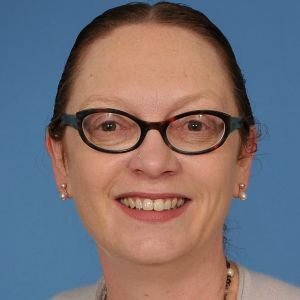 Currently CEO of Confederation of School Trusts (CST), she has previously held positions in two London Local Authorities as Director of Education, as well as Director of Policy and Public Relations for the Association of School and College Leaders. 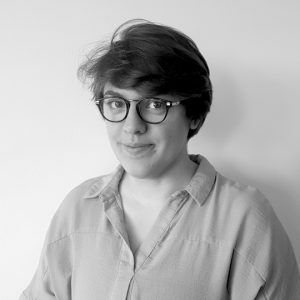 Leora will share her take on the current MAT narrative in England, as well as how she believes we can change that narrative through ‘Factfulness’. What: Don’t forget to visit us at stand D52 in the Exhibitor Zone between talks! If you’ve got any questions about moving to Arbor’s simple, smart, cloud-based MIS and how it could transform the way your school or MAT operates, this is your chance to come and chat to us. Feel free to stop by to watch one of our live demos throughout the day, or just drop by and pick up a free brochure to have a flick through on your way home. If you can’t make it, don’t worry – there’ll be plenty more chances to come and meet us over the course of this year. Keep an eye on our blog for updates on events that we’ll be attending. A vision for Multi Academy Trusts: a 5-part blog series written for Arbor by Chris Kirk, Ex-Partner for Education at PWC and formerly GEMS/DfE. The launch of the Confederation of School Trusts on Thursday 11 October 2018 is a huge step forwards for those of us who believe it is essential that we create a school system which is led from the middle. For this to be a reality, we need to increase the pace of development of MATs as highly effective networks of schools, collaborating not only within, but between Trusts. When asked about the focus of their strategy, MATs give a wide range of responses. 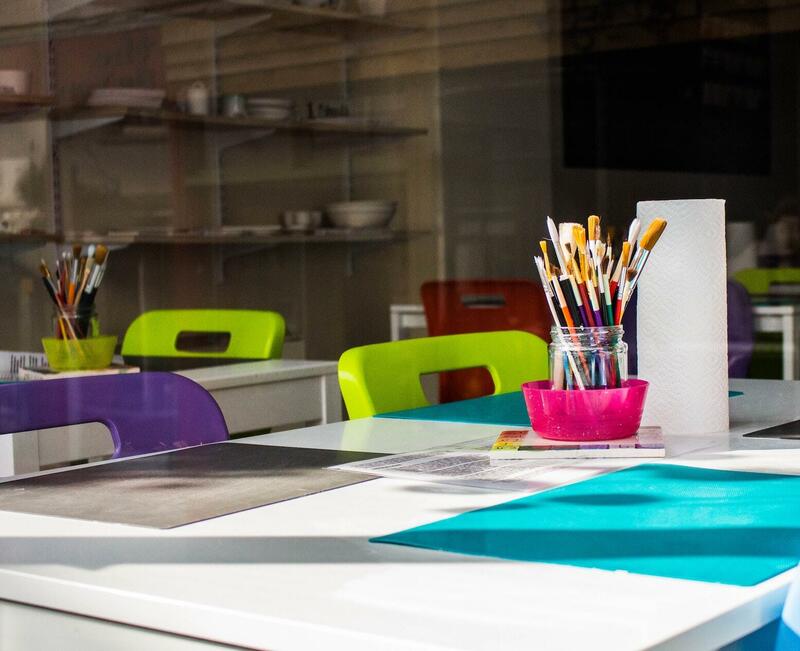 Most MATs seek to preserve school identity whilst improving back office efficiency – often by centralising systems and staff – with a collaborative approach to standardisation. But there are much wider ranges of views when it comes to scaling tried and tested school improvement models, creating consistent pedagogy, boosting local governance, or MAT-wide enrichment programmes. This variation in MAT strategy is in my view a good thing, as there is certainly not one right way to work: context is very important, and very different between MATs. What is more surprising is that our research indicates that there is just as much variation of view of strategy within many MATs. This is less welcome. The most effective leaders have the ability to develop a vision which is strongly influenced by their followers’ needs, creating a climate of collective aspirations. Within a MAT, this must surely mean a clear vision focused on the difference made for students, schools, communities and the system, supported by a realistic and shared strategy which is honest about capacity and has high expectations for all. It follows then that a significant task for MAT leaders is to build a common vision and view of strategy within their MAT. In the second blog in this series I will set out 6 principles and 6 core competencies that I believe should underpin every MAT vision. Is your MAT governance structure scalable? This blog is a transcript of a talk from our 2018 MAT Conference given by Sarah Pittam, Director at SLG Consulting. Sarah explains how different governance structures and processes can scale effectively as your MAT grows. We’ve transcribed her presentation below. We’ve talked about a number of stages of the MAT growth scale today. 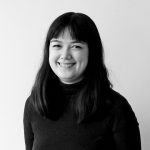 This blog is a transcript of a talk from our 2018 MAT Conference given by Sarah Pittam, Director at SLG Consulting. Sarah explains how different governance structures and processes can scale effectively as your MAT grows. We’ve transcribed her presentation below. We’ve talked about a number of stages of the MAT growth scale today. I’m going to focus on the governance aspect of that growth scale. In the early phases, you’re likely to have a board that is dominated by legacy membership. You will have inherited the boards of your founding schools, and there will be many people who will assume that they should automatically graduate to the MAT board. This is a problem, as these people simply may not have the skills that your Trust board requires. The most important thing is the behaviours and skills that the individuals on your board are going to bringStructures and processes aren’t that hard. It’s the people and how they behave and equip themselves in the role that really makes the difference between good, bad and outstanding governance. Once you reach regional trust size/stage, you need to ensure that your governance model works at scale. You need to have future-proofed it with the right people, the right processes, the right subcommittees, the right board-paper format, with a collection of people on your board who have the right skills, who are strategic thinkers, who work well together, and who all sit as front-benchers. This is quite difficult sometimes to make others realise, but it is something that you have to communicate to your members. There will always be an initial perception gap between you and your legacy members. After all, they’ve been on the board for 5 years and from their point of view, everything is going well. You need to try and explain to them that they were at the wheel of a ford fiesta, and now you’re driving a Ferrari. It’s a difficult question, but you need to find a way to have that conversation. The lack of independence that comes when people graduate from a governing body/LGB straight to the Trust’s board is a problem. People often think that they are representing the interests of their school, but that’s just incorrect. The same applies to parents – I’d really advise against having parents on the Trust’s board. It is rare, and it’s rare for a good reason. There will always be a culture challenge. People will say, ‘we’ve always done it like this, why do we have to do something else? The Local Authority used to do it all for us!’. What they don’t realise is that the LA-maintained context is so different from the MAT context because the reporting compliance requirements are so much greater. Recruiting the Chair is really difficult in any size MAT, whether it’s a 2, 5, 10, 20, or a 50 school MAT. Don’t underestimate this! It’s particularly hard if you’ve got turnaround challenges, because much more time is required, and very difficult if you’re in a high growth phase. The Chair really is in the hot seat. He or she is not paid, and they might be spending a day a week or even more on this. It is difficult to find a top quality Chair, but hang in there; don’t just hope for the best. You should be very picky! So what should you look for in a Chair? You need someone with a social mission. The vast majority of governors & trustees do and it’s an absolute prerequisite. It’s a necessary but not sufficient condition however; they must also bring something to the party. It should be an identifiable, generic and transferable skill set – e.g. if you’re looking for a growth manager, you must look for someone who has experience in managing growth in an organisation moving from £10 to £20 million turnover (if those are the sort of numbers you’re talking about). A board structure that scales is the easy part…it’s working out the right scheme of delegation for your trust that is much more difficult. 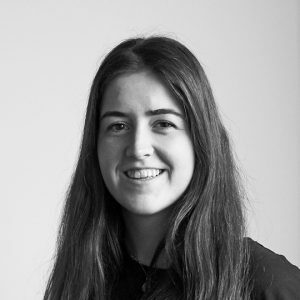 Read what Sarah had to say in the second half of her presentation here! Hugh Greenway, CEO of the Elliot Foundation, recently spoke at our MAT conference Scaling Sustainably: Centralisation vs. School Autonomy. This blog is the second part of a two-part blog series on his presentation – in part 1, Hugh spoke about the challenge of scaling a MAT without adequate funding. Here, he goes on to say that creating trust among the people in your MAT is crucial to running a successful operation. We’ve transcribed part two of his presentation below. Question 1: Am I doing everything I can to improve outcomes for as many children as possible with the resources available to me today? Question 2: Are the outcomes good enough? The questions that need to be asked are as follows: Are all children safe? Where do they learn? What do they learn? How do they learn? Who do they learn from? Can we pay for it? Does it work? Is it compliant? Each of these questions relates back to a relevant operational part of the MAT, about which we can ask various questions to see if we are creating the best learning environment for our children using what we have available to us. Think about your finances, for example. If you think that you’ve saved money on photocopiers and/or stationery, you probably haven’t. You just think you have. I can tell you that by implementing print management and switching off colour printing, you can save up to 50% on your print costs now. Schools don’t actually need to print in colour. But here’s the thing: your photocopy costs will be less than 1% of total costs, so even saving you 50% will only deliver a 0.33 of 1% point saving – which might not be worth the uproar you will face from teachers! 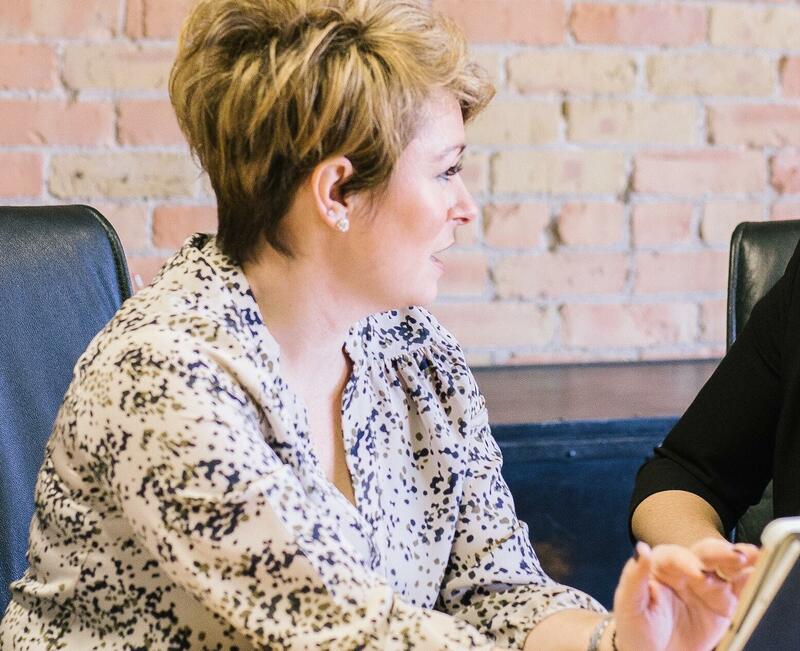 The real savings come from building trust with your people. At the beginning of the previous blog, I said that there were no volume discounts on teachers. Well, you can save money on them by treating them better. This in turn leads to systems which transcend individual schools. If you think about your trust as a tent that needs to be kept upright against any inclement weather, then you need guy ropes. Each guy rope represents a golden thread that runs through the organisation. In order to be sure that things are as good as they can be you need to check the tension on the guy rope. 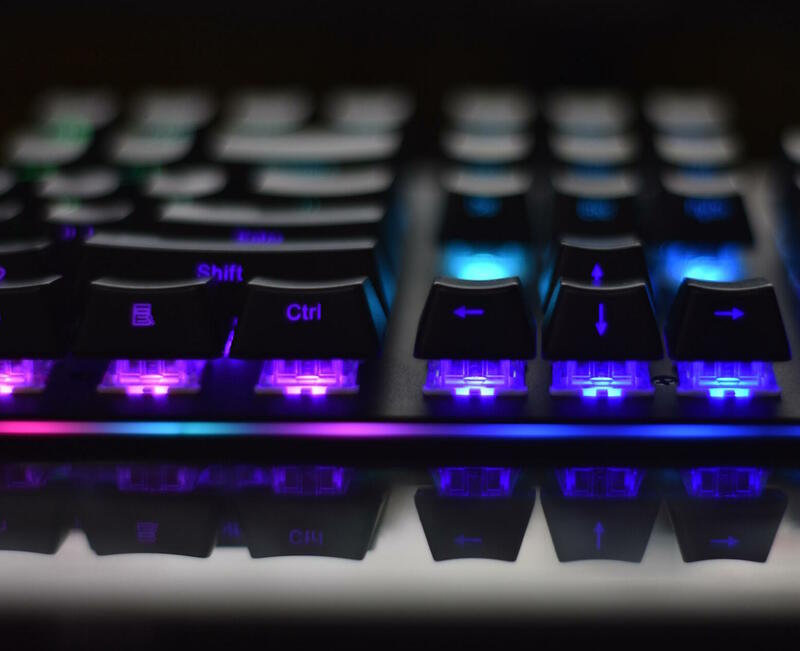 The inputs and the outputs. How do we know that all children are safe or that the provision of education is improving? What evidence do we have? And what do we then do with that evidence? Which employee is responsible? Which trustee and which committee has oversight and what does good look like? The inputs to ‘educationally improving’ are simple: OFSTED reports, phonics, KS1 & KS2 results, RSC letters etc. Obviously there needs to be a limit to the number of guy ropes, because otherwise you’d spend all your time running round and never get to sleep in your tent. In brief, the Trust board is accountable to the DfE, which in turn is accountable to the children and the community. Within the the MAT, the staff are accountable to the principal, who reports to regional directors, who report to the CEO. There is then a web of support and representation that links the finance committee, LGBs, the audit committee and the standards committee, as well as NUC unions, an ops group and the principals’ council. A feedback loop runs through the MAT, connecting children to staff, staff to principals and principals to the CEO & trust board. No roadblocks or concentrations of power. But, at the end of the day it comes down to trust, and that is where we turn our greatest weakness into our greatest strength. Because if we can deploy our values in such a way that they generate value, then we all have a chance. 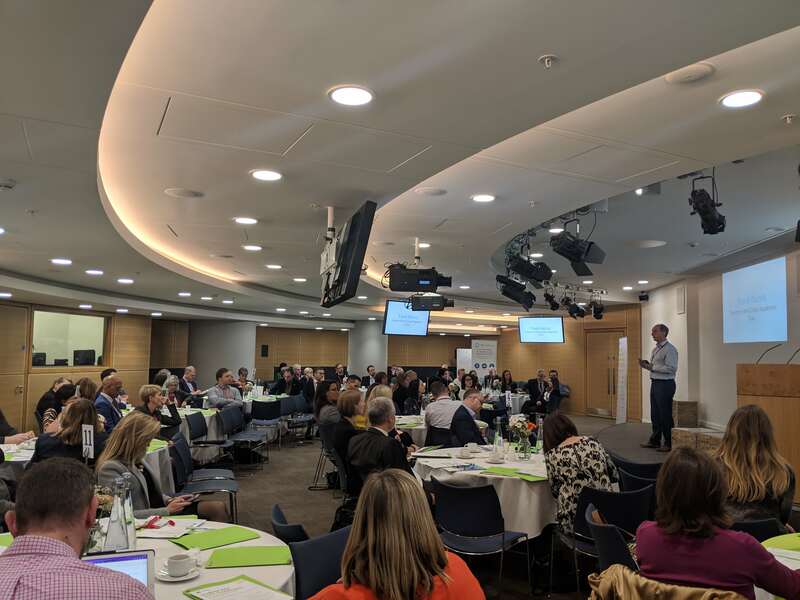 At our MAT conference, Scaling Sustainably: Centralisation vs. School Autonomy, Hugh Greenway, CEO of the Elliot Foundation spoke about the challenge of keeping the “big picture” in view when managing operations across a trust, arguing that this is the biggest challenge to scaling a MAT. We’ve transcribed part 1 of his presentation below. I was at a DfE meeting recently where the job of being a MAT CEO was explained as being, “to find what works and make it scalable”. But education has always been and always will be mostly unscalable. You don’t get volume discounts on teachers (which are between 65-85% of your costs). The 1,000th teacher costs the same as the first one. What economies of scale you can achieve on your other costs are generally lost to the costs of running the system. I set up the Elliot Foundation with my friend Caroline Whalley. She was the visionary, I was builder. But what did we set out to do? The idea behind the Elliot Foundation was to build a safe place for primary schools and to try to protect them from the unintended consequences of academy reforms. We could see that the fragmentation of the system was likely to lead to hundreds, if not thousands of orphaned primary schools, with no one able or prepared to help them. So – how’s it going? 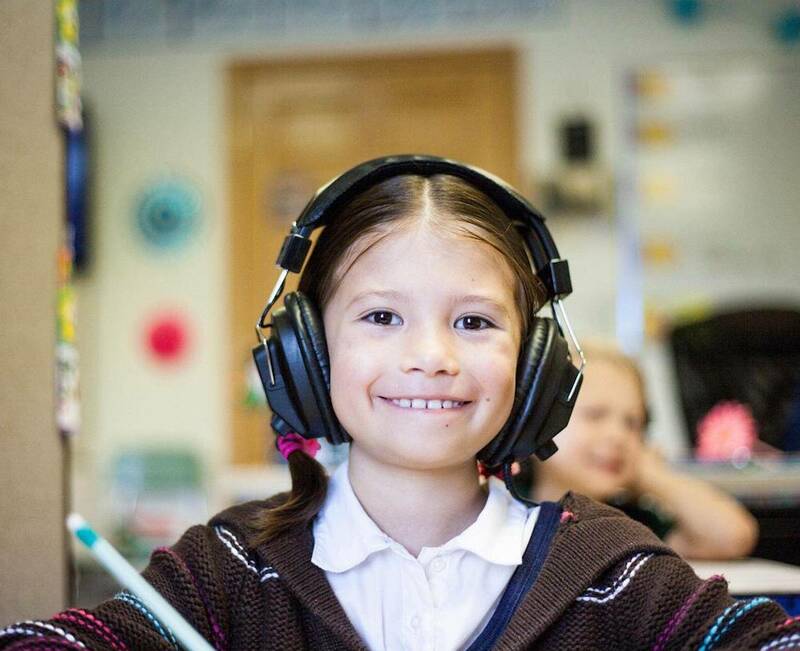 The Elliot Foundation currently has 27 schools – that’s around 10,000 children (growing to 30,000). Two thirds of these schools are sponsored and 4 out of 8 converters were RI jumpers. We’ve had 19 inspections so far, with 7 schools being awarded Oustanding, 10 awarded Good, and 2 Requiring Improvement. Out of the 6 Outstanding sponsored primaries in the West Midlands, 3 of those belong to the Elliot Foundation. But Age Related Expectations are not good enough. They’re probably at about 55% (validated). There are Pupil Premium and EAL gaps in East Anglia. Whilst you were reading the statistics, did you notice anything odd about the diagram above? Anything… gorilla-shaped? This idea is based on a famous 1990s psychology experiment that you can find on YouTube (but I’m afraid I’m now about to ruin for you). The difficulty is that nearly all MAT CEOs are former Headteachers, and they view the world through the lens of their experience. They see children, teachers and schools. But they don’t see the gorilla. Do you see it now? Unlike the academics at the DfE, I believe that our job as MAT CEOs is to create and maintain systems that keep schools, safe, solvent, structurally sound, legally compliant and educationally improving. How do you scale without the money to scale? Back in 2001 our system costs were handsomely funded – LAs used to retain around 16%. When the academy project was expanded by the coalition government in 2010, this had fallen to 12%, and academies had to make do with 8%. When the LACSEG was replaced by the ESG, it had fallen to £160 per pupil (around 3.5%). Today, each of us is personally accountable and potentially criminally liable for maintaining these systems. Yet we are given…nothing. Not even the most frugal of SME would run its head office on less than 5% of total. And in the UK, charities average closer to around 10%. And yet, we have accepted this bargain by taking our system costs out of individual schools’ funding – and more often than not, by not taking enough, because we don’t want to. In doing so, we have tacitly accepted that our schools were over-funded. So, next time you sign your VfM declaration, you can point out that you have achieved VfM, even if you have only maintained standards (because you are doing so for much less than we used to get paid!). The real pinch is that we cannot opt out of the law of the land (although that doesn’t stop the ESFA and the National College trying). Indeed, academy legislation is the first time in UK legal history that a government has used primary legislation to alter the terms of contract. By prioritising children we have simply put ourselves in the firing line. Asbestos compliance trumps school improvement. The Equalities Act is more important than SATs. GDPR (so help me) will be more important than SEND. We all know that this is not true or fair. And this is the gorilla that we cannot see. Moral purpose is the gorilla that killed Kids Company. And we will be victims of our vocation if we do not get a little more open and honest about how difficult this is. The only way we can afford to have a moral purpose is to get a whole lot better at creating something from nothing. Fortunately, that’s what Primary schools are really good at. Click here to read part two of Hugh’s presentation. Last April, we held the first in our series of free MAT CEO conferences. Over 100 Executive Leaders representing 72 MATs nationally came to London to network, exchange best practice advice, and listen to our speakers discuss strategies for achieving sustainable growth. We had such a positive response from attendees that we’ve decided to hold a second – this time at the Co-Op Academies HQ in Manchester! 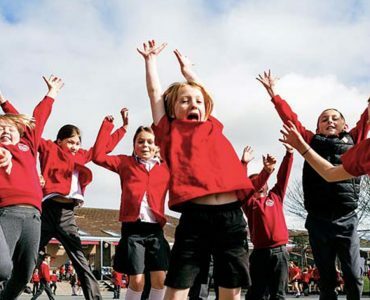 The landscape for MATs in England is constantly evolving, and the debate continues around the best ways for trusts to successfully manage growth, including questions over how much autonomy MATs should afford their schools. 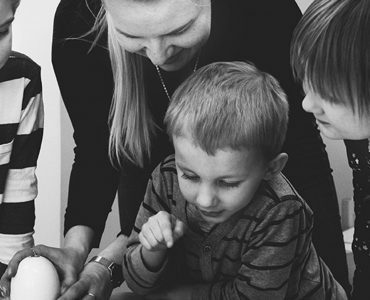 Whilst a number of studies have been published by the DfE and other research bodies in an effort to guide new and existing MATs as they grow (including this Expectations for Growth Report from 2016), exchanging and learning from good practice remains an effective way for MATs to navigate this landscape. With that in mind, the next instalment of Arbor’s free MAT conference series will bring together Executive Leaders from across the country in Manchester to hear other MAT CEO & Senior Leaders from different-sized MATs tell their stories about scaling. Speakers including Luke Sparkes (Dixons Academies Trust), Claire-Marie Cuthbert (The Evolve Trust), Mark Williams (The Co-Op Academies Trust) & Karen Burns (Victorious Academies Trust) will discuss scaling everything from their strategy, operations, central team process & systems to their reporting, governance and culture. Also on the program is a presentation from Ofsted’s Regional Director for the North West, Andrew Cook, who’ll talk about what Ofsted looks for in a MAT’s ability to provide school improvement. We’ll finish with a open, roundtable discussion between Northern MAT CEOs about what has and hasn’t worked for them on their journeys so far. Click here to see the full agenda and sign up for your FREE ticket! With over 100 delegates from MATs across the country expected to attend, we’ve left plenty of time between talks (and organised a free buffet lunch!) to allow for networking and conversation between delegates. Guests will leave with a series of relevant, practical and implementable steps to take back to their MATs and help them grow sustainably, as well as new MAT contacts to keep in touch with. Finally, if you can’t make it, don’t worry! We’ll be publishing all the presentations from the conference on our blog, so keep an eye out and keep checking our Twitter & LinkedIn for updates. 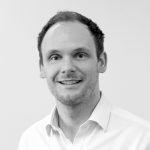 In the meantime, why not have a read of the presentation given at our last conference by Dominic Norrish, Group Director of Technology at United Learning, about how and when to scale systems within your MAT? 14:50 – 15:20: MAT Mergers: what to do right and what to avoid! 2018 KS2 Performance Data is available in Arbor Insight now! 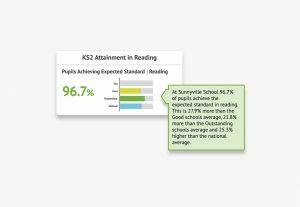 Your free, interactive dashboards benchmark your school not just nationally and locally, but also against similar schools and Outstanding schools, helping you see your school’s performance in a more holistic context. From there, you can drill down to uncover which student groups are driving over or underperformance, and use this information to help set specific, measurable objectives for your school improvement strategy. Our Ofsted Readiness report has been designed to help you get ahead before your next Ofsted inspection. It predicts your next Ofsted grade and benchmarks your performance against “Good” and “Outstanding” schools, and clearly highlights which areas you’ll need to look into before the inspector calls. Once you understand the real story that your data is telling, you can have much more constructive conversations not only with Ofsted, but with stakeholders like your Governors to help you focus on your priority areas for the year ahead. The DfE’s ASP service creates scatter graphs and bar charts that are helpful for giving you a general overview of your data, but you may need to look elsewhere to answer the key questions these graphs raise. In Arbor we help schools find these answers using plain text callouts to explain how significant a trend is, as well as displaying your data over a three year period to help contextualise your performance. Your Arbor portal also benchmarks different groups within your school against each other, and against national and local averages. Our PDF reports can be quickly and easily printed out to share with governors during meetings, giving them a clear, visual picture of how your school is doing. We’ve been working hard to crunch your latest KS2 performance data into 7 personalised PDF reports that analyse your attainment & progress over the past 3 years, highlight gaps across your school and even predict your next Ofsted grade. These reports are now all available in your Arbor portal, and will automatically update with disadvantaged, FSM and KS1 data when it’s released by the DfE. Click here to log in & access your 2018 reports and dashboards! Don’t forget that you’re also invited to the free Insight training sessions that we’re holding across the country this term to help you get the most out of your reports & dashboards. You can click here to see the full agenda and book your place. If you have any questions about how Arbor Insight can help your school better understand your data, give us a call on +44 (0) 207 043 1830 anytime, send us an email at insight@arbor-education.com! Why have 4,000 schools switched MIS to the cloud? With the launch of the completely new, cloud-based SIMS8, it’s now an inevitability that all schools will be switching MIS, it’s just a question of whether they’ll be retraining on the new SIMS or an alternative provider. This is a good opportunity to select the system that best suits your school, LA or MAT and provides value for money. Ahead of your school or group switching, we thought it would be helpful to help answer some questions you might have about the cloud. After all, we’ve been doing it for years! Q) How many schools have already switched their MIS to the cloud (mostly from SIMS)? 1 in 5 primary schools and 1 in 20 secondary schools have already switched their MIS to the cloud. This number is increasing at around 18% – we expect over 1,000 schools to switch this year alone! The vast majority of primary school MIS switchers are moving away from SIMS, whilst secondary schools are typically switching from SIMS and CMIS/Progresso. Q) Why have so many schools moved to the cloud already? Save money, and reduce the number of systems in school: cloud-based MIS systems are typically 20%-30% cheaper in terms of license fees and support. They also help reduce the number of systems you need in your school, as functionality isn’t modular and comes as standard (e.g. SMS, online payments, parent evening booking etc). This is important as budgets are tight. Free, simple integration with third-party systems: all new cloud-based systems can integrate easily with other apps in your school, meaning no more excel uploads and downloads, and one password to sign into all those systems! Access from anywhere, and any device: this seems simple, but it means staff can enter marks from home, and aren’t tied to their desk in school. Q) How much cheaper is a cloud-based MIS? Typically you can save ~30% on your total systems costs, meaning the cost of support and license fees together. Be careful to compare like-for-like with functionality to calculate this accurately. Oh, and you can get rid of your server, which is an additional cost! Q) How secure is a cloud-based system? Much more secure than your school server! MIS systems like Arbor’s simple, smart cloud-based MIS have passed security standards such as ISO27001, have been accredited by the DfE to hold sensitive information from ASP, are penetration tested each year and are GDPR compliant. You can read more about our security standards here. We take care of ever-changing security requirements so you can rest at peace knowing your school is compliant. Q) What about the brand new cloud-based SIMS – I’ve heard that’s out now. How is it different to old SIMS? SIMS has embraced the cloud and launched SIMS8, their completely new cloud-based MIS, so it’s now a question of when not if your school will move! Here is what we know about SIMS8 at this point (accurate as of 6th March 2018) – if you use SIMS we’d urge you to ask your contact for their version as we’re biased ;). Better yet, ask to hear from the schools who use it to see what they think! It’s still being trialled by less than 20 schools: which is behind schedule, and less than the 500-1000 that was originally intended. This indicates the product roll-out might be further delayed. It appears more expensive: pricing is very similar to SIMS7 but includes a £500 hosting charge. SIMS have been reluctant to release pricing, so ask your rep to see if you’ll be charged more. 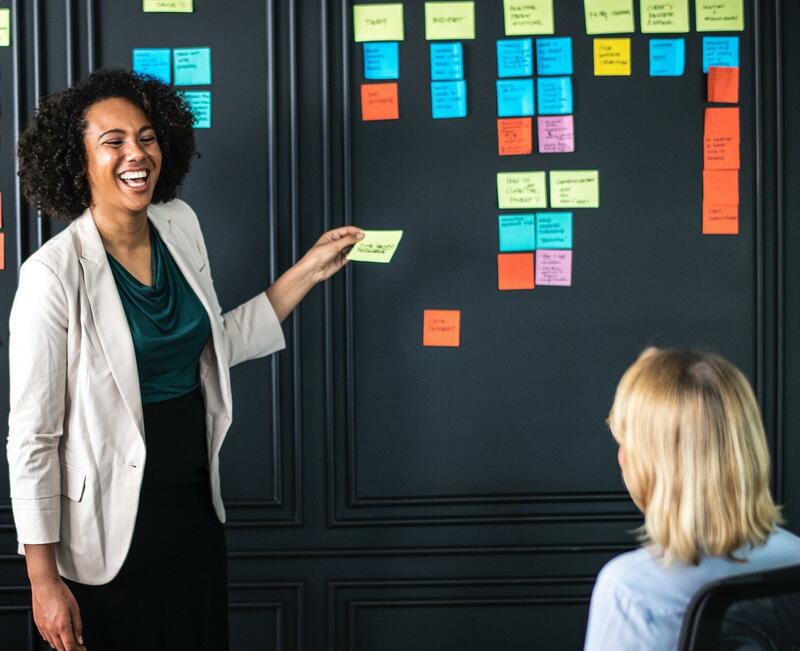 You’ll need to retrain your staff: it’s a brand new system, and although there are some similarities to old SIMS, you’ll need to retain your staff on how to use it. Q) So what should I do as a school? It’s now a question of when, not if, you’ll be moving to the cloud. The question is simply which provider you go with – whoever it is, you should ensure they provide value for money and fit your ethos as a school. If you’re with SIMS or CMIS, compare them to 2 or 3 other providers to see who you like the best and make a choice by inviting them to pop in. You’ll be with them for a few years at least, so it’s worth making a considered choice, and it’s as much about the people/service as the product. Oh, and if you’re a MAT, LA or group of schools then you will likely have to conduct a slightly more formal process via a tender as a cloud product is a brand new product and service, so can’t be grandfathered in under the same terms. Q) We are a MAT and have both primary and secondary schools in our trust. What should I do? Good question! If you decide to stick with SIMS across your trust, you won’t be able to get the full benefits of a cloud-based MIS for your central team & schools until 2019 (at the earliest) as SIMS Secondary isn’t ready yet. It’s worth thinking about whether you’re willing to wait this long, particularly as it means you’ll need to maintain multiple different systems across your trust until then (which is costly, time-consuming, and less efficient than having standardised systems). It’s also whether checking whether the MIS provider you go with lets you manage data, workflows and reporting for all the schools across your MAT from just one system – take a look at our MAT MIS as an example of this. As you’ve no-doubt seen from the relentless marketing by third-parties – GDPR came into force in schools in May 2018! The below is our take on the questions you should ask your suppliers, including your MIS to ensure you’re GDPR ready. Just copy and paste! Why should schools & MATs care about GDPR? GDPR introduced significant new compliance obligations for schools and new requirements for the processing of children’s data, notably increased governance requirements and much higher fines if schools & MATs fail to comply (upto the greater of €20m or 4% turnover). Ensuring compliance is unfortunately a good deal of work, but you can lean on your systems providers to do a lot of the heavy lifting for you. Your MIS is the key source of student and staff information you have in your school, including most of what GDPR would constitute ‘personal data.’ It’s important when preparing for GDPR that you ensure that your MIS is compliant, then you can switch attention to other suppliers and systems that feed off the data in your MIS. Extends the definition of personal data Increased data protection processes and procedures to document What is your current MIS’ Information Security Management System (ISMS)? Increased risk, especially for MATs who are data controllers for multiple schools Do your data protection terms flow down to sub-processors so you’re covered? Is your MIS liable for any act or omission by these sub-vendors? Extends the rights of individuals to their data Parents and students can request a greater amount of information from schools, and schools need to be able to give it to them easily Can your MIS export a full list of fields for student and guardian data? If you as a MAT pool your data centrally in a dashboard or central schoolview, does that meet GDPR requirements around permissioning and data pooling? Has your Data Protection Officer audited your MIS to ensure compliance and assess risk using the questions above? Does your MAT central data meet GDPR requirements ensuring that data is permissioned and each school’s sensitive data is kept separate? What should your schools be doing now? There’s a lot of scaremongering by third parties, but Iain Bradley (Head of Data Modernisation) at the DfE has written what I think is a very useful blog that discusses the steps schools should be taking now. Think who you share that data with – for schools this commonly includes local authorities, multi-academy trusts, the DfE and beyond. Start to ask questions to your system providers – you can use our list above for MIS. The above steps are often best captured in a data mapping exercise which we’ve done at Arbor, and which Iain from the DfE has done at the primary school where he’s a governor. A copy of the picture is below. Arbor exceeds current data security recommendations. We’re ISO 27001 compliant (the standard in data protection certification), on the government’s G-Cloud framework and accredited to hold sensitive data. We also stress test our processes and procedures by getting tested by third parties and holding cyber qualifications. We’ve put a presentation together that sums up these points which you can read by clicking here. All in all, GDPR is something that schools should consider seriously, but you should lean on your providers to help alleviate the burden. 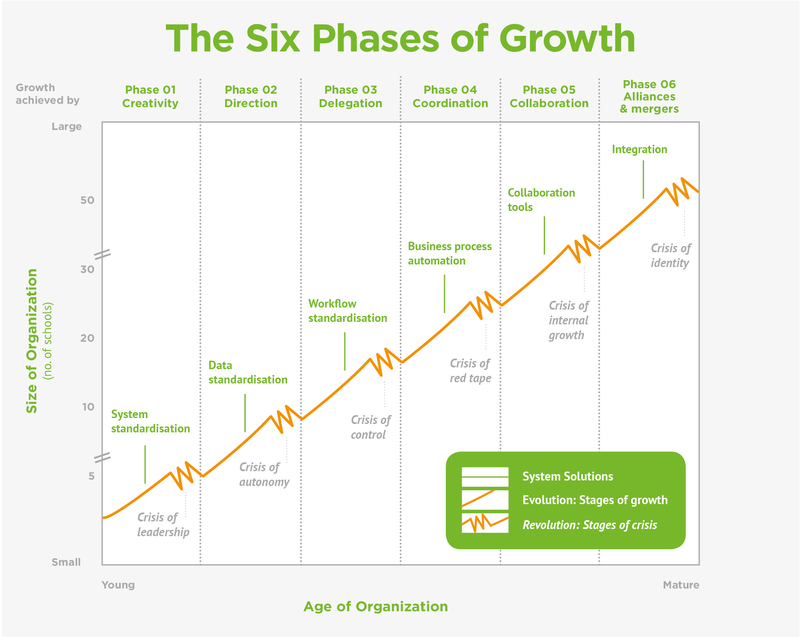 Chris recently wrote a blog for us about the 6 phases of growth that MATs go through, and the crises that can follow each phase, as well as how MATs can use an ‘operating model approach’ to ensure that they’re laser-focused on delivering their vision. His latest blog for us looks at the four common tensions faced by MATs when centralising operations, and how to avoid them. As I approach 25 years in the education sector I can’t remember a more demanding environment for reducing costs and increasing accountability. Whilst we all continue to make the case to government for addressing the many challenges this raises, it’s incumbent on education leaders to manage the resources they have wisely, for the benefit of students. That’s why Academies that come together into Multi Academy Trusts often do so in pursuit of greater efficiency and effectiveness. Many MATs find that Finance and HR are the easiest services to centralise, followed by Estates and IT. On the education side of things, it is common to see school improvement, Family Support, and Special Needs Support Services benefit from this approach. This all sounds straightforward, but there are four common tensions to be aware of. In this blog I explain what these are, and how to avoid them. Improve culture or skills rather than structure: Are the problems/opportunities actually the result of structure at all, or are there some cultural or capability improvements you need to make first? Case studies of MATs who have grown sustainably point to forward planning, with capacity to provide effective support to new Academies. However, I have also come across MATs who created new central roles in anticipation of growth that didn’t happen, due for example, to delays in approval from the DfE, and were left holding an expensive baby. (i) The first is ‘often recruiting; occasionally hiring’. You can be scouting for talent before you are in a position to commit, so when you do need to hire you aren’t starting from scratch. (ii) Secondly, build in agility – can you create additional capacity through partnerships or buying in services, until you know you are ready to make a permanent hire? As you move from a service which was managed and received by the same leader, i.e. an Academy Principal, to one which is managed by, say, the Director of Finance, there is a risk of getting caught up in a nightmare of “Service Level Agreements” and supplier/customer relationships. 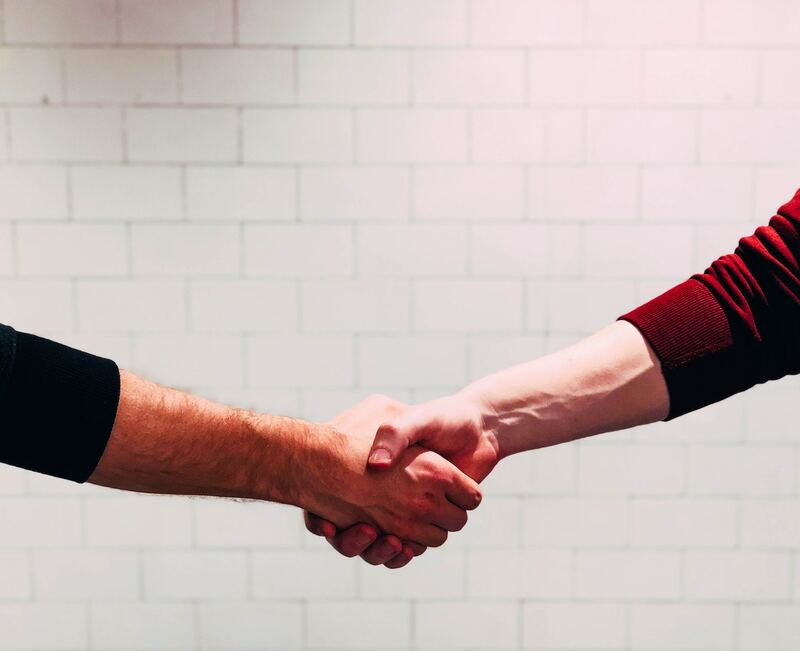 Most MATs take the sensible view that, for an internal shared service, the starting point is colleagues working together to the same end, with defined roles and responsibilities, but without SLAs. On the other hand, if you have decided to purchase from an external Shared Service Centre, or to share a service between MATs, you are going to need more formality, and this usually takes the form of SLAs and a Service Catalogue. This sets out what is delivered, to what standards, who it’s delivered to, and any delegation/escalation arrangements. Whether its internal or external, aim to delegate as much as you can to the front line (with appropriate Schemes of Delegation) so that problems can be solved quickly and easily with minimal need for additional layers of decision making. Thomas Edison’s famous quote has some relevance here. Strategy, design and forward planning can be energising, and tend to catch the attention of senior leaders. Important though this is, the really difficult stuff is implementation. Make sure the MAT leadership team is actively involved in leading the change, and that there is Board level sponsorship. You’ll also need a ‘Change Project Team’ to handle planning, resolving difficult problems through negotiation, ensuring that the services to be provided are clear, that they deliver what the users actually need, and that everyone is supported through these changes. You’ll need to think clearly in advance about HR, legal and financial implications of making the change, especially in terms of job roles. All of this saves time and money to reinvest in improving learning outcomes, and gives the Board a clearer view of what’s going on, therefore reducing risk. This has to be right in today’s challenging times. Chris Kirk is Director of CJK Associates, an education consultancy. For more information about MAT central teams, operating models and strategy, take a look at his website here. Why bother centralising your data? Schools, Trusts and LAs increasingly ask us how they can centralise their data, but they sometimes don’t know where to start and what their broad options are. Most share the common need of wanting to bring their data together to gain deeper, faster insight into their staff and students, save teachers time endlessly copying and pasting data from multiple systems (and reduce mistakes whilst doing so), whilst saving money by reducing the number of systems they have in the school. From our work with schools, MATs, LAs and governments we’ve seen a lot of different ways of centralising data, but they generally fall into 3 categories. When small, it’s best to keep things simple. Whilst not ideal, excel is the quickest, cheapest and easiest tool to get to do your heavy lifting. Most schools will organise data drops at set times in the year, using permissioned worksheets and data validation to minimise errors, and producing graphs and reports that can act as simple dashboards. New versions of excel can even link live to your systems (we do this in Arbor) so that can be pulled automatically from your MIS, meaning no more data drops and data errors! That said, excel comes with hidden costs, it can involve staff double entering data, takes time to fill in, is prone to errors, and doesn’t scale as your school or MAT grows (in fact it gets harder to administer as you grow). Once a Trust grows to about 5 schools (depending on the complexity of the Trust) the person in charge of collecting and analysing all of the data can often become overwhelmed by the manual process, and as we’ve written about before, this is the time most Trusts look at standardising some core systems to start to automate the process of data collection. It’s worth noting that this step is typically beneficial for all school types; the key is not to leave it too late, as you then end up unpicking all of the manual process within each school. Once the core systems have been standardised and rationalised into as few systems as practical (e.g. finance, assessment, MIS), then the school, Trust or LA can integrate these systems, ensuring data is only entered once, and use the tools’ internal ability to aggregate their core data and reports. The disadvantage of this approach is the upfront setup time and cost, however if chosen sensibly, these system should be able to payback this in time/money savings within a year or two, lowering overhead, improving reporting capability, allowing the Trust to centralise workflows and communication and ultimately enabling the group to scale. Without a degree of standardisation in your core systems and data, as described above, achieving an analytics layer can take a lot of time and patience. Custom field names, non-standardisation across schools of assessment, and people simply choosing to record things in different ways at different times lead to increasing complexity. Many systems (like Arbor) integrate with analytics layers such as Microsoft’s PowerBI (which many Trusts are using) out of the box, so once you’ve standardised your MIS, you can spin up an analytics layer in little to no time. This allows you to create custom graphs and charts with the reassurance that the underlying data is accurate – else bad data can lead to bad decisions! 3. Analytics layer: Arbor integrates with PowerBI out of the box via the excel integration, allowing groups to build their own simple Analytics layers. Our free and open API can also be used for deeper integration with Business Intelligence tools. 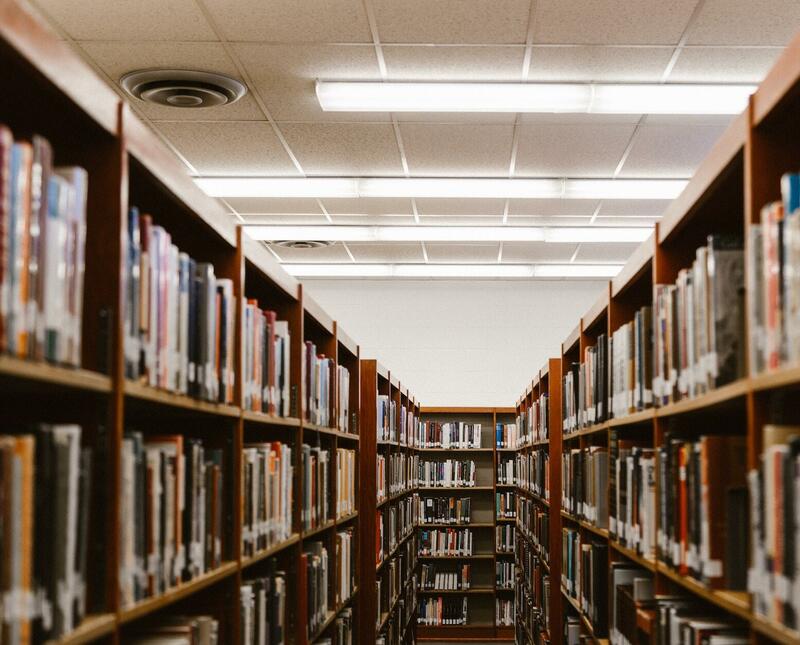 In a recent blog, we wrote a Q&A about why 4,000 schools have moved their MIS away from legacy, server-based MIS systems to the cloud (mostly away from SIMS and CMIS). We highlighted the trend emerging across schools & MATs in England who are increasingly choosing cloud-based systems to help save money, reduce the number of systems they need, help centralise their data & operations, and work in a more flexible, mobile way. Dominic Norrish, Group Director of Technology at United Learning, also spoke about the benefits of moving specific systems to the cloud at our recent MAT Conference (see a summary of his talk here). We’re delighted that REAch2, the largest primary-only academy trust in the country, has just chosen Arbor as the MIS for its 55 primary academies. They join 50 other MATs who have deployed Arbor to get a single overview of their schools’ performance, drill down to identify issues, and centralise operations by logging into each school’s MIS directly and taking action – all from one single Group MIS. They include Ventrus Multi-Academy Trust (12 primary schools), Bridge Schools Trust (24 primary schools), and Wellspring Academy Trust (14 special & mainstream schools) as well as others (see below). We now work with 600+ schools, including 485 primary schools, 60 secondary schools, and 67 special schools, and over 40% of our schools are in MATs (including 7 schools in United Learning). You can read a little more about why schools & MATs have chosen Arbor in this booklet, or click here to read a case study showing how our Group MIS has helped improve outcomes at Bridge Schools Trust. Interested to see how Arbor could help save time and improve outcomes across your school or MAT? We’d be more than happy to chat by phone or meet you in-person at your school – just call us on 0208 050 1028 or email tellmemore@arbor-education.com. In this presentation about scaling your data & Trust which I emailed to every MAT CEO last term, I highlighted how central teams often struggle to decide on the right balance between a MAT’s need for central alignment and a school’s desire for autonomy. The argument typically goes that alignment makes MAT operations more streamlined, efficient, auditable and cost-effective but at the expense of a school’s individual autonomy, which has often been established over many years. Some groups talk about ‘earned autonomy’ as a compromise, but this still assumes that a school needs to tow the MAT line until they can prove they ‘deserve’ autonomy. And once schools do ‘earn’ their autonomy under this model, they’ll most likely still be submitting data and using processes that the MAT have designed and embedded in the school. I’d like to challenge the notion that MAT alignment and school autonomy are oppositional. In fact, alignment can enable autonomy if you have accountability and transparency in place. 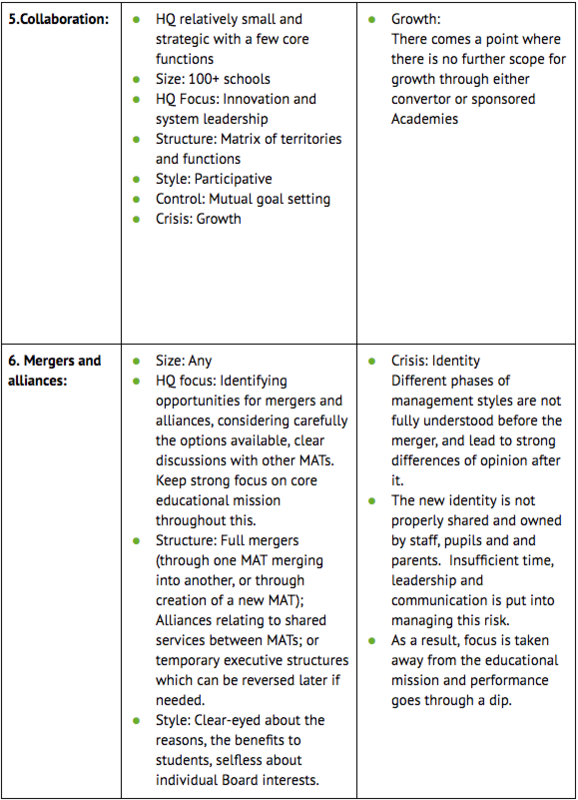 The picture above shows how MAT alignment can enable autonomy, allowing for sustainable growth beyond 5+ schools. The Assistant MAT in the top right example sets clear performance goals, and because it has built the right infrastructure (including standardised systems, instant access to data and auditable processes) it doesn’t mind how the schools go about achieving those goals. If there’s an issue, the MAT will be instantly alerted and can step in to assist the school in fixing, or sit back and monitor how the situation is dealt with. Either way, the schools get autonomy from day 1, and don’t have to earn it, whilst the MAT has the benefit of alignment. There are other examples shown where alignment does not enable authority. This is typically a conscious decision by the MAT. 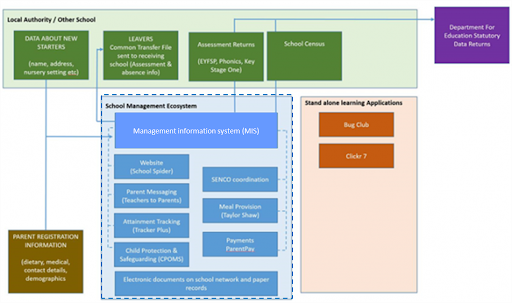 For example, more authoritative MATs (such as in the top left of the diagram) may choose to have very high degrees of standardisation in terms of systems and processes, leading to low school autonomy. This isn’t necessarily bad – for example, in turnaround schools there may be processes and systems that need complete overhaul. Why you need an operating model for your MAT (and 6 steps to build one)! The DfE’s 2016 Good Practice guide for MATs remains a useful document 18 months on. 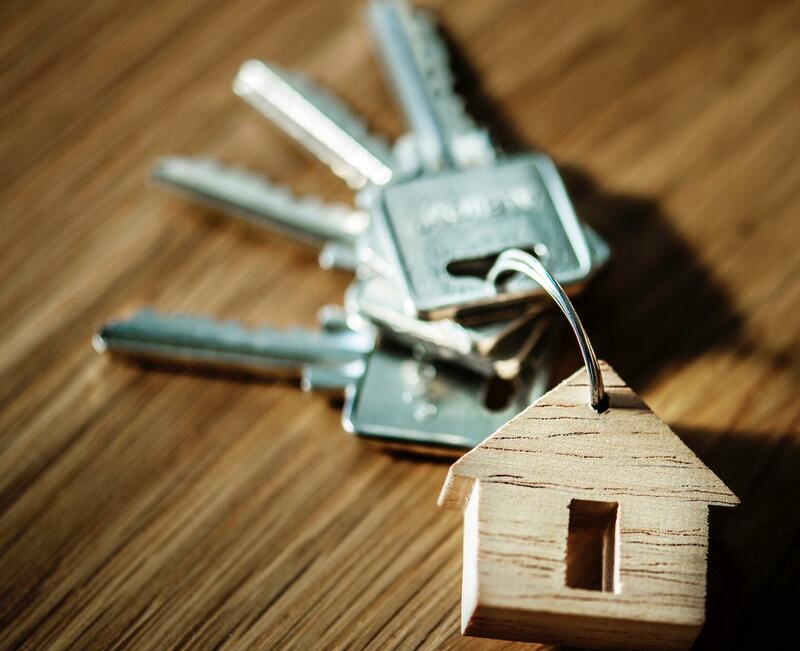 It was one of the first times when MATs were urged to consider their ‘operating model’ – advice which was also picked up recently in ASL’s study, ‘Building Trusts’. However, MAT CEOs often ask me what is really meant by the term. In this blog I offer my take on what one is, why you need it, and how to review and develop it. An operating model is a single overview of what your MAT does, and how it does it. 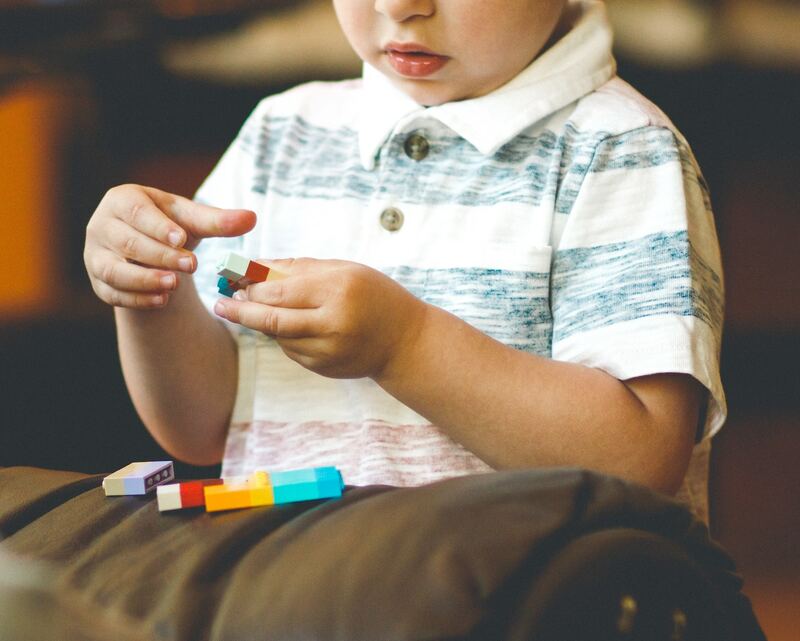 The different elements, such as your approach to school improvement, are pieces of the jigsaw, and the operating model gives you the picture on the front of the box. In this way, it makes the vital link between your vision, mission and strategy, and the details of individual roles, policies and activities. It also provides a connection from support services (such as HR or finance) to core educational services. By getting your operating model right, you make sure you spend your time and money on what really matters, aiming always towards better impact in the classroom. • Supporting or ‘back office’ capabilities – such as the capability to manage finances, to support your workforce, to provide technology, to manage your estates or to engage with your communities. I use the word ‘capabilities’ rather than ‘functions’. 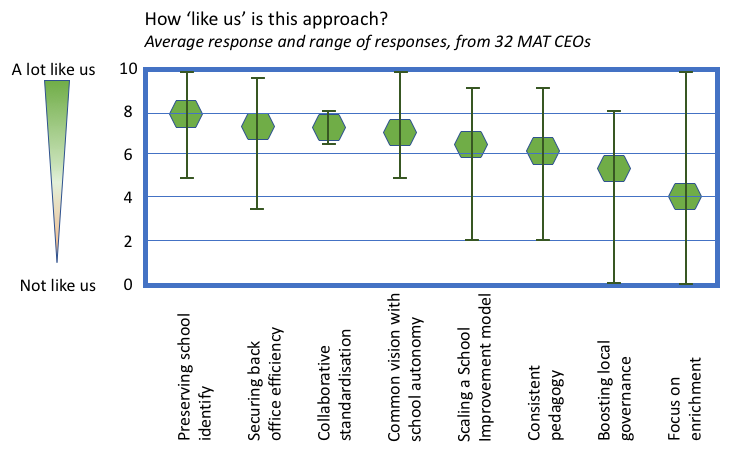 This is because a function implies decisions have been made about reporting lines, but a capability can exist across different parts of the MAT. For example, the capability to improve schools is likely to be a mix of the quality of leadership, information about performance and how it is analysed for improvement, as well as – potentially – specific teams dedicated solely to school improvement. Similarly, financial capability may not just be in a central finance team, it may also exist in schools. A capability lets you think about the whole picture, not just one team. 1. Before you begin, make sure you are really clear about your strategy and growth plans, as this determines your operating model needs. – What is this capability aiming to achieve? – Where does it sit? – What people, systems and processes do we need in order to deliver it? – How is it managed and governed? – How do we know if it’s working well? If you do this in an open and questioning way, you should be able to identify a number of issues for improvement. You may find particular issues with one capability; equally you may find some recurring themes, for example that you don’t have the right systems in place across several capabilities, or that your organisational structure is not right. 5. Create a ‘Road Map’ for the change – what needs to be done first, what can follow later. How will you support Principles and back office services as they make the change, and how do you make sure your education and other services don’t suffer while it happens? 6. Use strong change management approaches, as engagement will be the most important factor in getting things right. Remember that the hardest part is actually implementing it! People often ask me, how long should I expect such a review to take, and what might it cost. For a small MAT of 2-5 schools (who are growing more fluidly) you should think in terms of weeks not months for a review; for a system leader MAT a full review might take 3-6 months. Implementation will of course depend greatly on what is changing, as there could be HR, procurement and contract variations to consider. A small MAT may be able to undertake this work internally; a larger one may want some external support from a suitable consultancy and potentially other professionals (e.g. legal, HR). However, I have heard of MATs spending hundreds of thousands just to consider their back office, and personally I think this is a scandalous waste of taxpayer money – I believe any external consulting costs should be a fraction of this! If you can review and amend your operating model you should reap a number of rewards, in terms of efficiency, clarity of responsibility, time for innovation and improvement, and the ability to adapt to future change. Most importantly you can achieve the benefits of collaboration without an ever-increasing cost in terms of staff time. 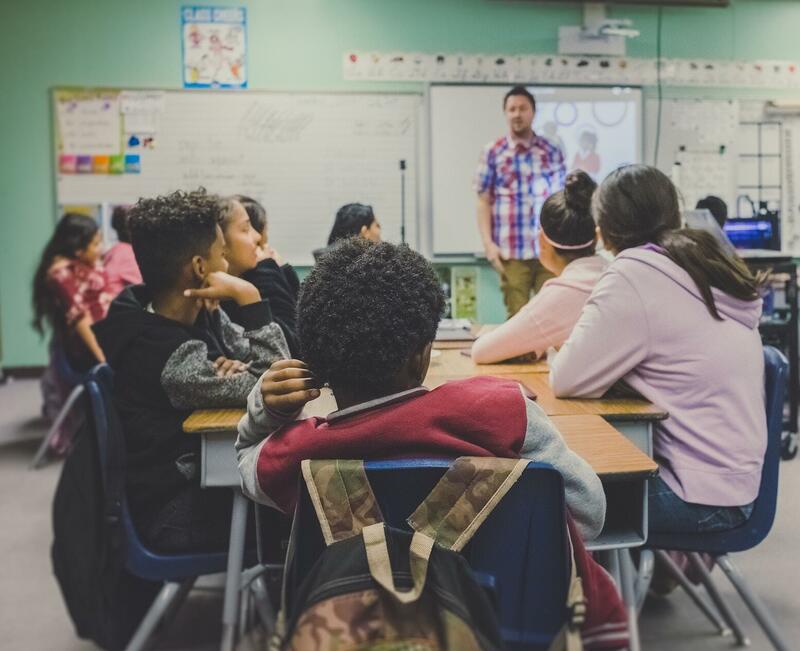 Teacher recruitment and retention is a vital issue, and the right MAT operating model can help it to support excellent teaching whilst reducing unnecessary workload. In April 2018, our conference on ‘Scaling Sustainably: Centralisation vs. School Autonomy’ in London bought together CEOs and Senior Leaders from over 70 MATs, as well as eight speakers with a mix of business and education backgrounds. John Leonard, independent consultant and tender expert spoke about the key things MATs should consider in order to get the most out of the procurement process, including knowing exactly what it is that you want to get from your new system before you set out to procure. Below we’ve transcribed the first part of John’s presentation! In this blog, I’m going to show you why you should be streamlining your procurement to benefit from the massive economies of scale it can bring. A common theme in education is the 5 ’W’s (Who, What, When, Where, and Why) – and in procurement this is no different – but with one addition – how? 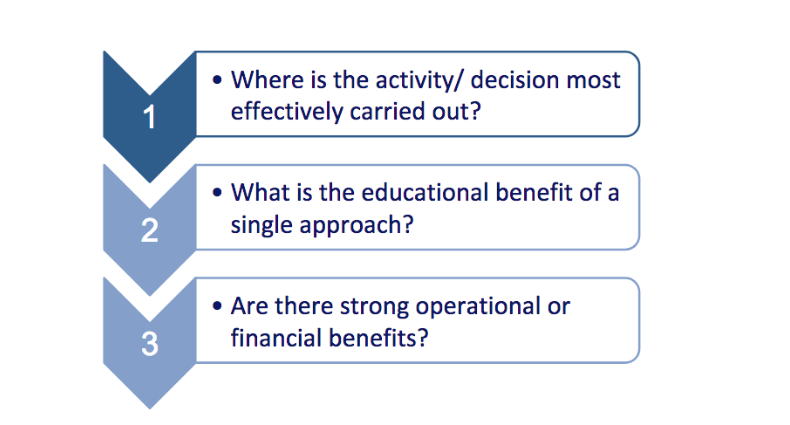 Consider the following questions as a “toolkit” for gathering all the information you need to run an effective procurement exercise. If you spend the time understanding your requirements and what your expected outcomes are, procurement is substantially easier. Procurement can be complex, but working through the questions and suggestions made here will help you be the best prepared you can be for effective procurement that gets you what you want, at a price you’re happy with, from a supplier who will work with you and understands you. There are countless reasons why, but the most pressing one is to achieve economies of scale, while still getting the technology or platform that you want. By the way, your wants are defined as an objective exercise which we’ll cover in a moment. Let’s start with an example. Assume you have 15 academies in your trust, and across these academies you have three groups of five – with each group using a different system or technology platform. And also consider the cost to you as a Trust to get consistent data from three platforms – whether that is specific reporting information, or simply an assessment of its effectiveness. Staff moving between academies have to know more than one system, integration between systems either doesn’t work at all or requires another overhead – it can be very very expensive to manage this. That’s not to say that you have to force each academy to accept a standard, cookie cutter system. You can achieve a balance between low cost/standard systems and high cost/customized systems – and that is achieved through effective engagement with your staff and potential suppliers (see ’Who’ for more detail on that). Another “why” is the simple legalities of purchasing – in order to demonstrate fairness, every purchase that’s greater than £181,302 ex VAT (click here for the current threshold) over the lifetime of the product HAS to follow procurement guidelines as set out in the Public Contracts Regulations 2015. You may have your own procurement guidelines for procurements below that threshold – and will certainly be bound by the requirements for three quotes as a minimum – but above the threshold, EU procurement legislation as embodied in the Public Contracts Regulations takes effect. 2. What (do I want to procure)? 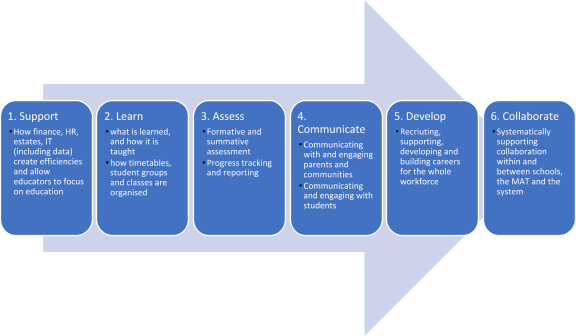 The exercise you will conduct in engaging your academies goes a long way to defining what it is that you want, and allowing you to get a clear picture of your expectations. What is it that you are wanting to get from the system? What would you define as a success? This is where it’s also important to consider the balance between simple/cheap and complex/expensive – neither extreme is advisable, but the right balance depends on the system you’re purchasing and the requirements you set as a Trust. Outcomes-based criteria ensure that you capture requirements from a more holistic perspective – and also ensures that you don’t get caught out later with a system that’s not fit for purpose. While you can refine a specification to get the closest match to your requirements, if it doesn’t perform the way you want it to, then you’re in trouble. If you define the specification in terms of your outcomes, it makes subsequent management of the platform (and your suppliers) far easier. What common tasks do you want to perform? How long should these take to run, given a suitably trained operator? What level of training do you expect to get? How often is the system refreshed or updated? What effort is required from you to keep the system functioning day to day? How fast does support respond to questions? Do you have a knowledge base of common problems you can solve yourself? What’s the cost per student over a 1/3/5 year period? Can you add/remove users easily? Can you gradually move to a self support model if you need to? Knowing what your expectations are here will enable you to build them into a the scoring criteria for the tender itself as a wholly objective series of scores – the Service Level Agreement (SLA) or Key Performance Indicators (KPIs) that allow you to measure the performance of your system and the supplier you’ve engaged. Procuring a platform on this basis that subsequently doesn’t perform also gives you far better methods of redress later on. 3. Who needs to be involved in the procurement process? Well, first consider who can benefit from the system you’re planning to procure. If it’s going to have a wide impact on a large number of stakeholders, then centralising the procurement exercise and making it applicable to all your academies can lower the overall cost, greatly simplify the process, make contract management easier, and get you far better contractual terms. Suppliers will obviously be more attracted to larger procurement exercises too! You also need to consider who can participate in helping you define your specification. Careful engagement across your academies will make life a lot easier – as the definition of your specification and requirements needs input from your vocal champions – the ones who point out the good and the bad – and your quiet champions too – the ones who just get on and use the system. Being clear about what works for you at present and equally, what doesn’t, helps you get the most out of a procurement exercise – the clearer you can be about your requirements, the better off you’ll be. If you’re not sure what you need, or need opinion from potential suppliers, this is the time to invite them in for market engagement. You’re perfectly entitled to invite a range of suppliers in to discuss your requirements; good suppliers will also know their market well enough that they will come up with suggestions you may not have thought of. Once you’ve met a fair representation of suppliers, then it’s time to go back to your internal team, and refine the specification again, so you all agree on what is needed. (N.B. Aa fair number of suppliers is a representative sample of providers for the type of solution providers you’re looking for – one is not a fair number! I’d recommend you see at least three, and more if you can). I can’t say this enough times – the more collaboration you engage in, the clearer your expectations will be, the specification will be easily understood by potential suppliers, and the procurement exercise will get you the system you want at a price you want to pay. For a while now, the government has been debating the best way to help MATs grow. On the one hand, Sir David Carter (the National Schools Commissioner) thinks 1,000 new multi-academy trusts will be needed by 2020, comprised of both new MATs forming and many smaller MATs expanding into double figures. On the other hand, there are concerns that if MATs grow too quickly it can become harder for them to maintain consistent quality across not only school performance, but financial management, operations, and team processes (especially when they are spread over large regional areas). Together with our partner PS Financials, we’re bringing together education, business and industry leaders to share their own stories about how they’ve scaled their strategy, operations, central team processes, systems, reporting & governance. Our aim is for everyone attending to leave with a series of relevant, practical and implementable steps to take back to their MAT to help them grow sustainably. Speakers include leaders from the Elliot Foundation, United Learning, and the Mulberry Schools Trust, and there will be plenty of opportunities to network and meet like-minded MATs during the day too. Can’t make it? Not to worry! We’ll be sharing recordings of the talks as well as presentations from the speakers on our blog after the conference, so check back here soon. You can also email us at tellmemore@arbor-education.com to let us know if you’d like to attend similar events in future. At a recent residential programme for MAT CEOs we were discussing different models for improving schools across a MAT, and how any chosen strategy needed to change and adapt at different points in a MAT’s growth. I was reminded of the ‘Greiner Growth Model’, which I first used when I was a Strategy Partner at PwC, and I’d like to share how this shows MAT leaders the 6 phases of growth they might go through, and some potential pitfalls that accompany them (which might sound familiar!).. Professor Greiner observed that in fast growing organisations, the management practices that were ideal in one phase of growth may eventually bring on a crisis as the organisation outgrows them. The resolution of this crisis creates a new model of management. 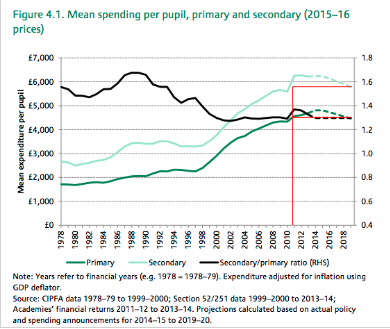 If the pace with which fast growth leads to a crisis is, as Greiner said, a factor of speed of change in a sector, there can be few sectors that have seen such dramatic changes as Multi-Academy Trusts. In contrast to schools, which have been with us for hundreds of years, MATs were only created in line with the sponsored academies programme 16 years ago, and the number of MATs has risen 88% in the past year alone. MATs are growing not just in number but size, with the number of MATs with over 10 schools growing by 68% in the same period. 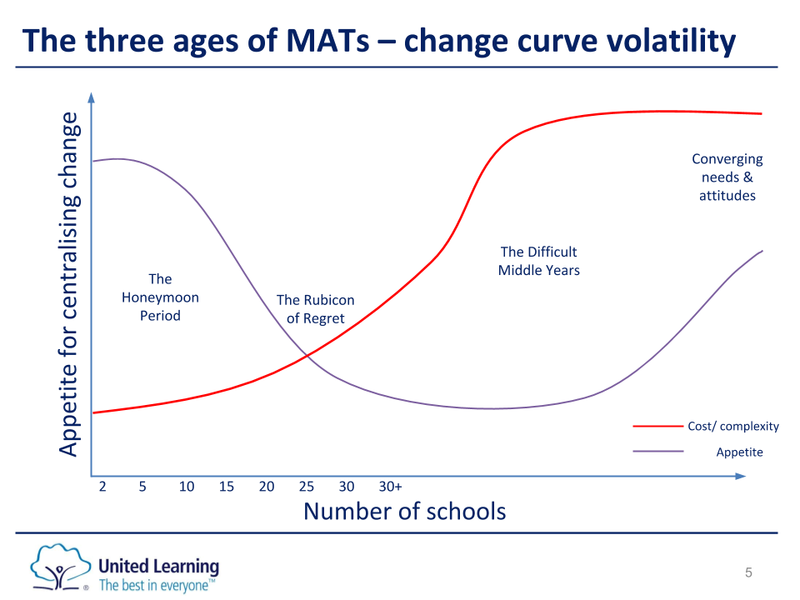 MATs are put through rigorous stress tests by DFE before they can become sponsors, and at various stages of growth; but even if the management approaches were right at those points, the Greiner model predicts, and therefore helps us to manage, the points at which those practices are outgrown. The size of a MAT is only one factor to consider when choosing how to manage. The appropriate management style will also relate to other aspects of complexity, such as the chosen approach to curriculum, pedagogy and school improvement, the geographical spread, the difference in context of different Academies, and whether the MAT covers a mix of Special schools and a range of phases of education, or just one phase. In a small and young MAT growth can be achieved through ‘creativity’. 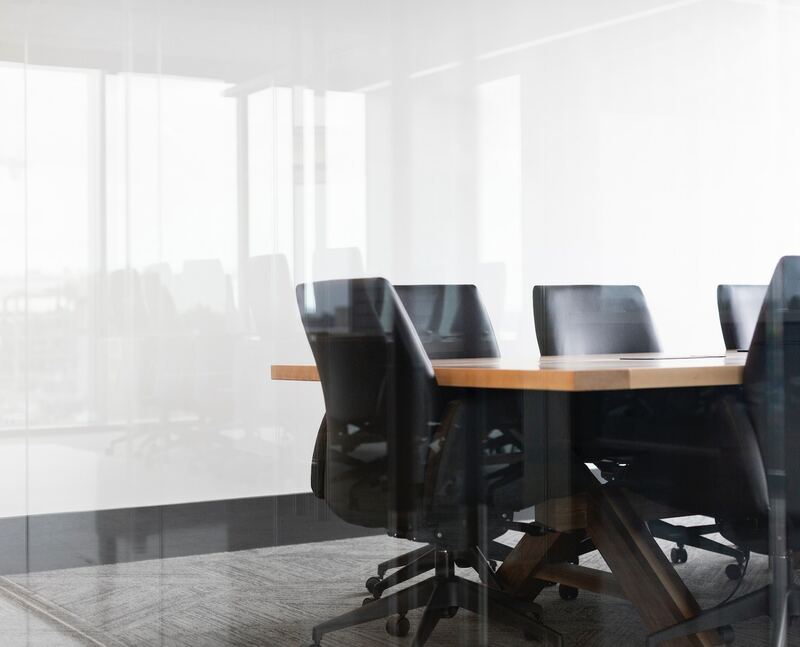 In this phase, which might consist of a single Executive Head / CEO in charge of up to 4 schools, there are few formal management activities at the MAT HQ level, and head office communications are frequent and informal. The small senior leadership team are collectively driven by their belief in the MAT, and its mission for students. However, as the MAT grows, it becomes too large for such informal ways of working: it cannot provide adequate reports to the Board on finances, and it needs to be able to take on new schools which were not part of the original discussions about mission. The founding Headteacher-turned-CEO may or may not have the appetite for more formal management. Sadly I have come across many MATs that have allowed the early warning signs to develop into a full blown crisis of leadership before they have taken action. The Greiner Growth model would suggest that a MAT of anywhere from 3-15 schools may be well served by growth through ‘direction’. At this point the MAT puts in place functional structures, with specialised IT, HR, Finance and other roles. Proper accounting systems, budgets, common work standards, and formal communications are needed. The Growth model suggests that it is possible for a MAT of this size to be led from the top, with Heads of School and Executive Heads focused on running individual schools. Professional teaching communities, focused by subject and age range, would set standards and make sure they were being applied across the MAT. However, with further growth, the MAT needs to create ‘clusters’ of schools which can work together, and potentially also Regional structures. At this stage, the Growth Model predicts a growing tension between the clusters/ Regions and HQ, and the new directive approach may begin to fail. Regional leaders of sizeable groups of schools may feel restricted by the central hierarchy, believing that they know their local context better than staff in HQ, but can’t take initiative. The Greiner model predicts that a crisis of autonomy will follow. To move forwards, a new model of delegation will be needed, but it may be hard for the leaders who rescued the organisation from its early chaotic struggles to give up their directive style, and equally hard for Regional/ hub leaders to take that responsibility off the CEO. This leads us to MATs with a mix of Regional and Hub structures, making use of increased levels of ‘delegation’. These decentralised structures motivate Regional and hub leaders to respond to local needs, and work with middle leaders to push forward subject excellence and other solutions. The role of the HQ is to manage by exception, using reports from the field. Communications to staff would more frequently be from the region/ hub than from HQ. The professional subject (and other) communities would continue to meet nationally as well as regionally, but the role of deciding how to implement the practices emerging from these communities would be devolved to the region, cluster or schools. The very wide size band for this phase relates to earlier comments about the many other factors that affect complexity, although this tends to emerge from ~7 schools. It is not certain to me that a large MAT necessarily needs to outgrow this phase, but this delegative management style will in turn face challenges. Sizeable Regions, hubs and schools enjoying greater autonomy will start to run their own shows, resisting HQ requirements for reporting or interventions. A crisis of control may emerge, which if not addressed will lead to those regions breaking away from the MAT entirely. Of course, this may be a reasonable outcome, but a pro-active HQ will at least want to be aware of the alternative options. Whilst there may be a temptation for the MAT HQ to try to regain control and re-centralise management, this will usually fail due to the vast scope of operations involved at this stage of growth. Instead, what is needed at this point is for the MAT to shift its management style to co-ordination. A very large MAT managing through ‘co-ordination’ would focus the HQ on leading formal planning procedures, and allocating budgets carefully based on clear business cases. The MAT HQ would retain some technical functions, such as data processing. Many other operations would be decentralised to ‘Territories’, that is groups of Regions. Consider that by this stage, each region might be the size of many of today’s medium-sized MATs. The HQ would still retain an oversight function, but would be unlikely to intervene directly, as by this point, individual Territories should have sufficient capacity. 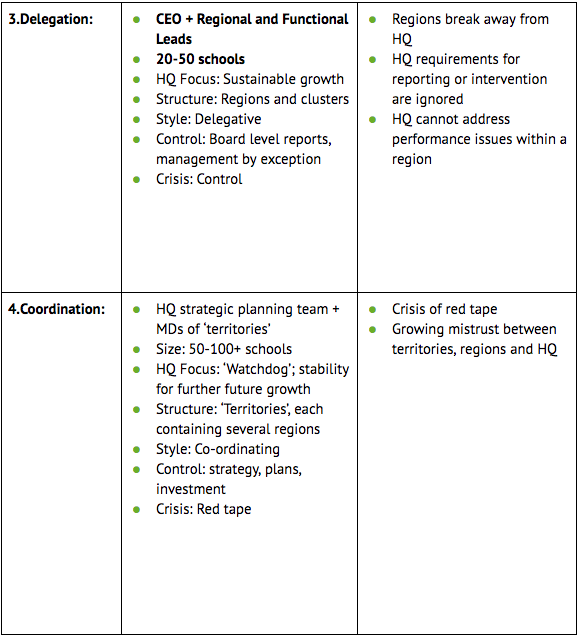 As with Stage 3, it is unclear if a MAT would necessarily outgrow this phase, but the model suggests that the signs it is failing will be when the formal systems for planning and investment across HQ, Territories and Regions create a crisis of red tape, alongside growing mistrust between HQ , Territories, Regional leaders and local teams. A MAT which was so large that it outgrew co-ordination should focus on growth through ‘collaboration’, the preferred style of some of the world’s largest organisations. The HQ would focus on setting behaviours, social role modelling, and interpersonal interaction, and would apply very few formal coordinating systems. HQ would act through consultation, not direction. A matrix of Territories and professional functions would help to maximise the benefits of people with the same skills collaborating, whilst allowing for geographical responsiveness. Simplified control systems would use real-time information about a few things that really matter, to inform daily decisions. Frequent conferences of senior leaders (territorial and functional) across the MAT would address problems, and CDP funded by HQ will focus on teamwork and conflict resolution (territories and regions would have devolved budgets for other forms of CPD such as subject specialisms). Experimentation and innovation will be fostered and encouraged. The main limit on MATs moving beyond this phase is likely to be a constraint on the number of Academies which find the MAT to be a good fit, leading to a crisis of growth. In fact, this constraint may come up at any of the earlier stages, and lead to a final type of growth, through mergers and alliances. MATs may find themselves considering mergers and alliances at any stage of growth. There will be two main scenarios: either because a highly performing MAT is asked to take on all the Academies in a low performing MAT (for financial , educational, or both reasons) ; or because a MAT has identified a need to grow further, in order to access the benefits of greater size, but cannot do so through taking on individual schools – perhaps because there are none in a suitable location that fit the MAT’s values and focus. At this stage, MATs will consider growth through mergers and alliances. There have been relatively few examples of the second ‘voluntary’ scenario to date, due to the complexity of MAT Boards deciding to merge unless they are forced to. It is likely that in this scenario, as well as full mergers, other models will emerge, such as groups of MATs sharing services, or ‘reversible’ decisions to create a merged MAT which continue to allow separation in future if this does not have the benefits they wanted. If the right steps are not taken before and after merger there can be a crisis of alignment. There there will be particular challenges if one MAT is in a different phase of management style than the other. For example, a MAT growing through ‘Direction’ merging one growing through ‘Creativity’ would need to be clear about the tighter expectations. A ‘Collaborative’ MAT merging with a ‘Directive’ one might find that the Directive MAT can continue to operate in a semi-autonomous fashion for a while; but there is a risk that it never feels fully part of the family. The act of merging may trigger a need to enter a new phase of growth with a different management style. The MATs’ respective approaches to topics such as standardisation, and choice of curriculum, will be important factors. Above all, it is vital that the new identity is shared and owned not only by staff, but by pupils and parents. In our blog “The common barriers to scaling a MAT”, we looked at some of the key areas of debate surrounding the biggest challenge to scaling faced by MATs today (this was also the theme of our first MAT conference in London in April this year). One of the biggest challenges MATs face is getting the right infrastructure and systems in place to support growth. We invited Dominic Norrish, Group Director of Technology at United Learning, to speak about his experience of deciding how and when to scale systems within a MAT. We’ve summarised his presentation below. Dominic talked about how the degree of MAT centralisation vs. school autonomy at your Trust is one of the biggest challenges to deciding how to scale systems. Exactly where your MAT sits on the scale of full autonomy vs. full centralisation, or at least where people perceive your MAT to be, is the product of your values and culture. The problem this sliding scale creates is to do with the locus of control (the perception of where authority to make a decision sits) between schools and the MAT central team. The locus of control will always be in tension, since both sides have limited views of the others’ reasoning and drivers. This is often what makes it hard to decide how to scale. Where is the activity/decision most effectively carried out? What is the educational benefit of a single approach? Are there strong operational or financial benefits? If the decision is not most effectively carried out by a central team or if there is no benefit to all schools in your MAT adopting the same approach, and if there are no operational benefits, the decision can be local. By contrast, United Learning decided to roll out a single assessment system (Hegarty Maths) across all its schools in 2016 because there was an educational benefit to using the same approach across all schools. Similarly, Dominic said that this principle would suggest that core operational systems, such as Finance, MIS & HR, should be scaled centrally. When you decide to scale systems comes down to the size and age of your MAT. As the number of schools in your MAT increases, it goes through 4 stages: The Honeymoon Period, The Rubicon of Regret, The Difficult Middle Years, and Converging Needs & Attitudes. These are the fundamental systems that should be in place for any young MAT as it grows since the cost of changing them at any point in a MAT’s life is disproportionately high (which is why MATs often put off these changes until it’s too late). Making these requirements clear to schools considering joining the MAT. This is the stage where your MAT has 20-30 schools. “The Rubicon of Regret” as the point at which your MAT has not centralised many (or any!) systems, and now regrets that decision since the cost & complexity of centralisation at this stage is high (but not impossible). This in turn makes the appetite for centralisation low. However at any time in the life of your MAT there should be a really high barrier for prescribing the systems teachers use to teach. United Learning, for instance, have stopped doing this altogether. This is because the likelihood of consensus forming around a single product/approach is extremely low, whilst the cost of changing current products and practice rarely delivers ROI (rolling out the same smart whiteboards as an example – does it matter whether all your schools use the same one?). In this case, it would be far better to support schools in driving their own digital strategies. We’ve now added all the presentations from our conference on scaling culture, strategy, processes, procurement, and governance to the blog. Why not have a read here? ‘Remote leadership’ is a term used by Tim Brighouse to describe his approach to education leadership at scale. I think it is highly applicable to MAT leadership, and I have found it incredibly useful when thinking about the importance of the CEO as a leader of outstanding education provision. It is important to note that culture and identity in MATs applies here. The Mulberry Schools Trust’s model is premised on the CEO being a leader of education expertise. Business acumen is important, but knowing how to create outstanding schools in contexts of challenge is the focus and so education leadership expertise – with it being the central business product, if you like – is what is needed in the CEO. There are other MAT models where business skills are at the forefront of the CEO’s leadership and education expertise is held in the roles of directors of education – and this can also be very effective – but for us, the view is that if you want universally outstanding schools, the top job is to know how to do it and what this looks like, providing you have skilled financial, legal, estates and HR leaders working closely to you that you can properly hold to account. ‘Remote leadership’ of school communities thus becomes very important for a CEO. How do you bring your practitioners with you? How do you ensure they buy in to the vision, values and culture of the work in hand? Securing a strong and widely shared commitment to the MAT’s purpose and values across a large group of people requires close communication, despite being more remote, and commitment from practitioners to a vision. One of the lessons I have learned about education and the implementation of any initiative at any level is that those who have a fairly autonomous position e.g. as a classroom teacher – in that they are inpidually responsible for pupil outcomes and the quality of their practice – can destroy it by simply not doing it or doing it differently. To be a lastingly successful initiative, they must agree with its importance and find its implementation rewarding. Getting that commitment means two things. First, if your leadership is more remote, the immediacy of your communication is less and so every contact is vital. The authenticity of such communications is important and so linking them to genuine passion and values is essential. Second, understanding and using the power of story is a key aspect of remote leadership in the task of scaling up culture and retaining identity. Stories of success create energy and when bringing about change in culture in a school to align with the values and identity of your trust, the use of supportive, affirming and speculative language is helpful – as well as finding those with a can-do philosophy to help you yield the buy-in from the community that you need in school transformation to align with the MAT. It needs to be recognized in scaling up culture that in this task perhaps more than any other you cannot enact your leadership alone. If successful change in this respect is going to take root for the long term, you need to develop a team around you that can replicate this work and a central infrastructure to enable faithful development. And so we are back to my first point about the structural things you need to do to enable your identity to go to scale. I have seen this model of remote leadership enacted elsewhere in recent times in perse fields of business and government: once on a visit to the Dyson engineering plant in Malaysia last month and 2 years ago on a visit to meet Barack Obama’s administration team at the White House. The recruitment and staff development process that supports scaling up culture and identity was plain to see in both cases. After all, what could be more important than the work Obama did to address inequality and social justice in the US? So, I conclude by going back to the photograph above, as it has become symbolic and powerful for us as a Trust. It both shows the context of our work and the social justice issues we need to address about inequality. A great education is the key to a better and more prosperous future. It is also the means of providing greater social harmony within communities and human enrichment where the obstacles prevent engagement with the resources around you. The rainbow, therefore, is the promise. It is our Trust’s promise and it is the vision you buy into when you join our schools. There have been some very difficult moments along the way, and there are more to come I am sure, but it is an expression of what we believe to be possible – a vision of hope for continued improvement in outcomes not just amongst the pupils within our family of schools but, through partnership and school-to-school support, improvement across the system. It is not growth for growth’s sake but a considered and thoughtful response to educational change and the requirement for us to support – along with Challenge Partners – a great school-led system. In April this year we brought together 100 MAT leaders from over 70 organisations to discuss different strategies for scaling their MAT sustainably, with a focus on how these varied by the degree of centralisation vs. autonomy the MAT chooses to give to schools (click here for the agenda). This generated some great presentations from our speakers from Elliot Foundation, United Learning and others which we’ll write up on this blog over the coming weeks, as well as some lively debate about what challenges senior leaders are having with scaling. We held the conference to highlight emerging good practice beyond the highly centralised model of MAT operations that is highlighted in the press. It’s clear that a one-size-fits-all approach is overly-simplistic, and that strategies and barriers to scaling vary both between different MATs, and within a MAT as it goes through 6 phases of growth. The first point that was noted was that a MAT’s scaling challenges varies by the culture and size of the MAT. We’ve written previously about how culture and the degree of MAT centralisation vs. school autonomy is a key driver of how a MAT scales systems, processes and people, and how different strategies may suit different school types. For example a MAT of outstanding schools will often have a different culture and degree of centralisation than a MAT of turnaround schools. Being deliberate and setting clear early expectations about what you will centralise (systems, processes, roles) and what you will devolve autonomy to heads to decide was seen as essential in helping smooth the scaling process, and get ahead of problems that would be exponentially harder to solve retrospectively as the MAT grew. Most speakers agreed that despite it seeming easier to devolve decisions to schools at the outset, making bold decisions to centralise some aspects and capitalising on early enthusiasm would help in the long run. The mean average number of schools per MAT in the conference was ~5, which as we’re previously written about is exactly the time that MATs should be looking to put in place the infrastructure to help scale, typically involving the centralisation of systems. Most MATs in the room had centralised their finance function early on, and were now looking to capitalise on early momentum to centralise their MIS, assessment and HR functions, as this helps to get a single view of MAT data, improve transparency and audit of process, and provide the foundation for scaling your central team. As we’ve mentioned previously, it’s at ~5 schools (depending on phase) where manual processes and systems cause your team to break. Try to tackle this before it becomes a problem. We polled our audience of 100 about what their greatest barrier to scaling was, shown in the chart below. The biggest response by far was the ‘catch 22’ of scaling – needing funding to scale the central team/impact of the MAT, but requiring scale to access more funding. This was commonly reported by all MAT types and sizes, but most prominently in MATs of 4-15 schools who were struggling for financial viability. These MATs were often entering into a period of unsustainable growth, driven by the imperative to become financially viable – conversation was focused on what MATs could do at this stage to smooth what is always going to be one of the hardest phases of scaling. Recognising this early, and preparing the infrastructure and team was seen as vital, reflected by the fact that centralising roles and systems came in at number 2 and 3 on the list. Setting up clusters and changing operating models was commented on by larger MATs as a challenge (often linked to how to manage these), as well as finding suitable schools to join the MAT. Several MATs were changing their governance model, and debating how far to centralise committees and responsibilities. Perhaps most surprising was the fact that finding the right people came so low down the list of barriers. The pool of talented individuals with experience in scaling impact across schools isn’t vast, and perhaps MATs underestimate this challenge or overestimate their capabilities in this regard. We will be updating this blog over the coming weeks with presentations from our speakers covering how MATs can effectively scale their culture, strategy, systems, processes, procurement, and governance. For now, click here to see my presentation including some of the points above. This photo shows my ‘place’ – where I started my headship in 2006 and where, on 1st May 2017 (after a 7 year journey) the Mulberry Schools Trust was born. 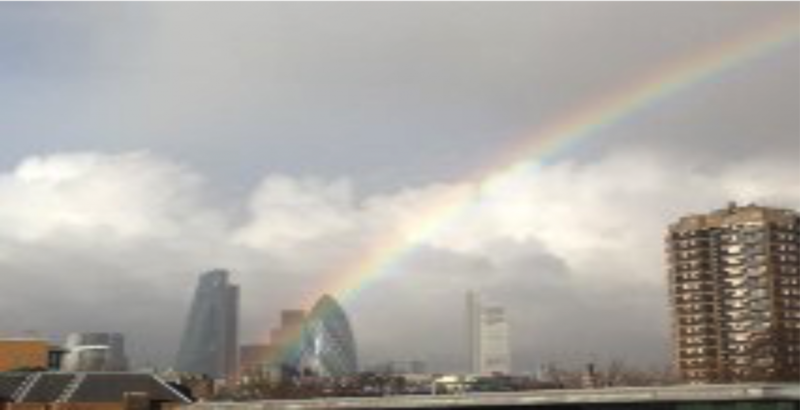 The end of the rainbow (with its mythical pot of gold) is right in the City of London. To the side is one of the tower blocks in Shadwell where pupils in my catchment area live – one of the many similar blocks with overcrowding and damp, where people have little personal space or privacy or money. Poverty is patchwork across our country in the same way and so all MATs encounter it in some way. I’ve seen this at close hand through my work chairing the board of the Somerset Challenge and the National Schools Forum for Teach First. The point of stating all of this is that it means our work at Mulberry Schools Trust is heavily influenced by the need to counter the dynamics of ‘place’ – to counter the close nature of urban financial and social disadvantage shown in the photo, open up opportunity, deal with inequality, offer routes to prosperity, stability and security, and to work towards greater social harmony and human flourishing. As a result, the Trust’s culture is framed by a set of values that are quite specific to this task. In a way, we have chosen to ‘specialise’ as a MAT in this work at this point. From my experience, I cannot stress enough the importance of values-driven leadership at all levels as you grow. Values frame the culture that is created in all organisations and are easily diluted as you scale up, so values shared by your company members and directors through to your school principals, senior teams and Local Governing Bodies are critical. Scaling up your organisational culture and maintaining your identity requires senior leaders to place values and a deep understanding of the context of your schools at the heart of your work. There is a dynamic relationship between a school, its context, its culture and the values which frame that culture. Understanding that dynamic is very important when thinking about scale. Context or ‘place’ affects education. A school both influences and is influenced by its community. Where a school is situated has a profound, multi-layered effect on its character and the challenges it faces. 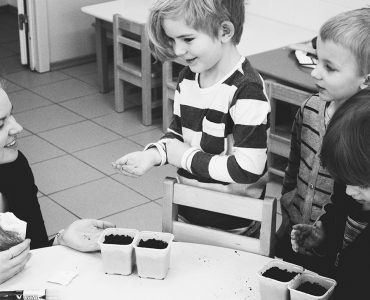 In turn, good schools enrich their communities and can have a regenerative effect. The close attention of the CEO to these elements of a MAT’s work is essential in scaling up culture and retaining identity, and the work in it over three years to six years is considerable but worth the investment. Facilitating strong governance, nurturing senior teams, building relationships with school communities and having a keen eye on policy implementation are for us the key things that we have considered and continue to develop. A basic indicator but one that can reveal a lot if benchmarked and analysed correctly. Looking at the splits of % child-facing vs. non-child facing can reveal heavy management layers or inefficient back office process taking resource away from front-line teaching. The split between SLT, teachers (supply & FTE) and back office can help to drill down and identify where schools might be over or underspending. Used by MATs such as Outwood Grange in their dashboard, this can help schools rationalise subjects to make efficiency gains (such as a vocational subject taken by 6 students year on year). The exact calculations can be tough to produce without the right systems able to combine academic and financial data. A contentious measure, as there is no right or wrong answer, but worth correlating to pupil attainment and progress measures. This can also be further broken down by Key Stage and subject. Most schools agree staff satisfaction is a key measure of long term health, and even though satisfaction may not always be high it’s worth knowing when it takes a dip so you can intervene to reduce turnover. Some schools and MATs such as Elliot Foundation are starting to use Net Promoter Score to measure this. Arbor uses a tool called Ask.nicely to monitor the health of all our schools, which automatically sends out 100 emails a day to different school stakeholders, allowing us to segment responses by role (email us to find out more). Note that the comments provided as feedback are perhaps more useful than the data in helping management understand school strengths and areas to improve. Number of complaints by role or school, as well as the verbatim complaint itself combine with Net Promotor Score as a useful indicator. Again the comments in the complaints themselves are often the most useful. Staff turnover is often 20%-30% in some schools and MATs, far higher than the 15% national average. Retention is a vital measure to at least know, even if it’s not monitored as frequently as satisfaction or NPS. Vacancies by number and type of role is also useful to understand retention and where issues lie, and it can be obtained relatively easily through the census submission, although it’s a lagging indicator (by the time a vacancy arises it’s too late to intervene). Not investing in staff can lead to high turnover, but many schools and MATs are guilty of underinvesting in staff who then stay and don’t progress. Monitoring overall CPD as a % staff pay allows benchmarking between different schools and MATs to see if you’re developing your staff. Clearly just monitoring the cost won’t tell you if the CPD has been effective. This should be assessed in appraisals. Ultimately the measures you choose depend on the culture your MAT or school wants to foster. Purely financial measures with no balance will focus on efficiency, whilst focusing entirely on staff satisfaction can lead to lax financial management. Having the systems to automatically report on staffing measures is key to reduce excel sheets flying around. Arbor’s MAT and School MIS can centrally report on all staff and student measures, giving SLT the reports and dashboards they need in one click to monitor performance. Get in touch to find out more. When do MATs change systems? In my last blog, I highlighted the 4 different basic MAT personality types: Authoritative, Micromanaging, Entrepreneurial and Assistant. I showed how start-up MATs (usually a mixture of Entrepreneurial or Micromanaging) can cope with manual processes and dual staffing, but once they get to a certain size, this starts to break. The diagram below, from DfE commissioned analysis, shows when this typically happens. When do MATs change their infrastructure? At the start, MATs are small and can cope with manual processes and procedures, spreading staff across multiple institutions, and allowing schools a certain degree of discretion over how they manage themselves. However, as the number of schools approaches 5, the central team (who often also work within a school) become overstretched. Late nights catching up with their day job in the school, the burden of gathering and analysing data on excel from multiple schools, chasing staff for updates and generally cranking the admin wheel to get management the information they need in a timely manner is too much. People break. Typically this is when MATs begin to look at letting the systems they have take the strain. This is so that every additional school the MAT takes on doesn’t increase the challenge exponentially. Most MATs we speak to are defining a core set of non-negotiable systems and processes that all schools will be required to take on to streamline data and processes. Standardising systems gives MATs the infrastructure to grow, whilst allowing schools autonomy in how they use these systems. The first system to be standardised is typically the finance system, as this helps fulfil basic compliance. Most MATs are opting for PS Financials as it does a good job of aggregating financial information across the Trust. But the next system that MATs tackle subsequently is the MIS as they want to centralise their student and staff information. Just as MATs find their legacy finance system unable to cope with the demands of operating in a multi-school environment, so too over 50% of the largest 10 MATs are changing their MIS, moving away from SIMS or CMIS to cloud-based MIS systems that allow instant access and aggregation of their data across multiple sites. Robert Hill, the former DfE advisor, who has written well on the subject of MAT data makes this point well in his blog. Operating across multiple sites presents unique challenges for MATs. MAT leadership need instant access to data to ensure their schools are performing effectively, and at present this is a laborious task to collect. More than just data, MAT leaders need the ability to instantly log in to school systems to audit workflows and ensure consistency, flagging issues and following up with staff where necessary. This demands not just a dashboard, but a better, more efficient system with which to centralise data, streamline workflows and operate your MAT, which is why most of the large trusts are actively moving away from SIMS, RM and CMIS, and many small and mid-sized trusts are now doing similar. 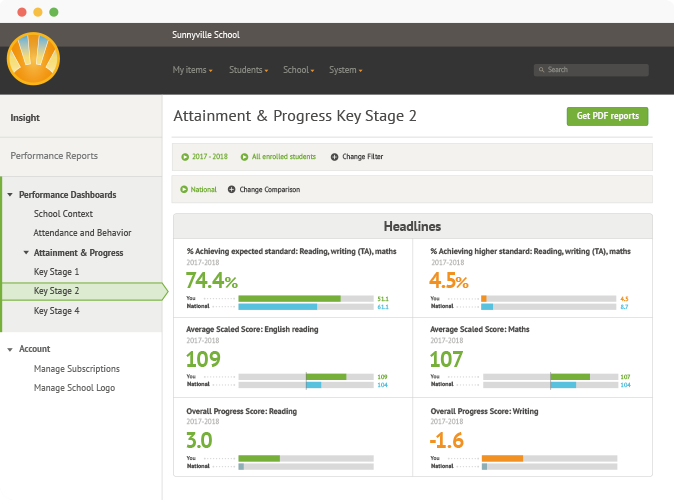 Arbor has built the first MAT MIS which allows leaders live, instant access to DfE, Ofsted, in-year progress and MIS data in one central dashboard and custom reporting tool. More than just a dashboard, the MAT MIS allows leaders to receive alerts for important events such as exclusions, and drill right down from the group into any school’s MIS and analyse performance in a few clicks. This centralisation of data and ability to action workflows from the MAT saves around 30% on software licenses, and hours of time gathering data and communicating with staff. Find out more information by clicking here, or just email me at james@arbor-education.com and I’d be happy to connect you with one of our MATs or come out to show you our MAT MIS myself! I’ve already discussed the 4 different MAT personality types based on how much they standardise vs. give schools autonomy, as well as at what stage of growth MATs tend to standardise MIS systems. This MAT type combines a high degree of MAT alignment with lower school autonomy, and as a result has highly standardised systems and processes. Many of these MATs have built their own custom systems or integrations, such as the Praising Stars system developed by Outwood Grange, or the Assembly data system built by ARK. These systems are typically built and administered by a large central team who are on hand to assist with data analysis and school improvement where needed, taking the burden off schools. School workflows and processes are similar in each school and can be audited by the central team. This organisation type is usually found in start-up MATs with challenging schools. Typically there isn’t enough of a top-slice to pay for a large central team, and one or more of the SLT in the lead school will typically act in a dual role both in their school and the MAT. There is typically not much standardisation of progress or MIS systems across the MAT, and as a result each school typically submits data manually via Excel in half-termly or termly data drops. This limits the complexity and timeliness of the data, meaning light data at the MAT level that is only reviewed a few times per year. Reliance on the people in the small central team is great, and as I’ve discussed, people start to break at around the 5 school mark. This organisation type is usually found in start-up or informal MATs. Each school has high autonomy, and there isn’t much MAT alignment around systems or process. The data that does get collected at MAT level is usually light and done via regular Excel data drops. Like the micromanaging MAT, there is only usually a skeleton central team, with a member of school SLT playing dual roles as data lead for both the school and Trust. This is usually acceptable under the current Ofsted framework as long as the schools are high performing, but two things make this position fragile. Firstly, this system can’t scale beyond a handful of schools, as the central team will start to break under the chaos. Secondly, if Ofsted’s health checks prove to be heavy-handed, entrepreneurial MATs may have their work cut out to gather the data in a timely manner. Usually found in groups of high performing schools, this type of MAT has standardised their ‘non-negotiable’ systems – typically the finance, MIS, progress and HR systems – leaving the rest at the discretion of schools. This allows for a semi or fully-automated data collection similar to the Authoritative MATs, as well as the ability to transparently view what is going on in each school without interfering. The small central team only get involved to help add extra capacity to their schools, such as building reports or analysis, setting up the behaviour policy in the system, or communicating with staff. Schools have autonomy in how they use the system, and the MAT get the core data they need with high levels of accountability. Whatever your MAT personality, standardising your MIS is a step 50% of the largest 10 MATs are already starting to take as they move away from SIMS or CMIS. Arbor’s MAT MIS can help centralise all your core student and staff data in dashboards for instant benchmarking and reporting, automates school workflows to save staff time, and allows you to take action to improve outcomes. Why not book a quick demo by emailing me at jweatherill@arbor-education.com or ask one of our MATs why they made the switch? In this presentation about scaling your Trust and my last blog, I highlighted how the central team need to decide on the right balance between a MAT’s desire for alignment and a school’s desire for autonomy, as this will define their systems, processes and, ultimately, culture. Looking at the diagram below, you can see the 4 different personality types I suggest, and the culture that each one generally has as a result. Often seen in MATs with a high proportion of turnaround schools who have weak operational processes that need replacing. These MATs have a large central team to help ensure a high degree of alignment with the MAT, and deploy a largely non-negotiable, tried-and-tested set of systems and processes within each school, leaving little variation. Often seen in local, start-up MATs with high performing schools and leadership; people know and trust each other. There is typically only a small topslice, so the central team are small, usually having a dual-role split between an individual academy and the MAT central team. Systems and processes are non-standardised, and schools have wide discretion over how they manage themselves. Data collection is manual and light, often using excel, meaning little central oversight. This sounds bad, but it’s sometimes necessary. In challenging start-up MATs taking on turnaround schools there is no budget or large central team to roll-out a set of tried and tested systems and processes. The MAT has to take a hands-on approach, often with staff seconded from the lead school into the poorer performing schools. It can feel quite full-on for the schools, but here the entrepreneurial approach may not be viable! 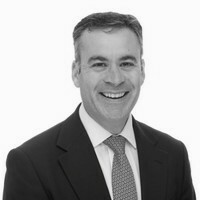 Chris Kirk, Ex-Partner for Education at PwC, and formerly GEMS DfE. 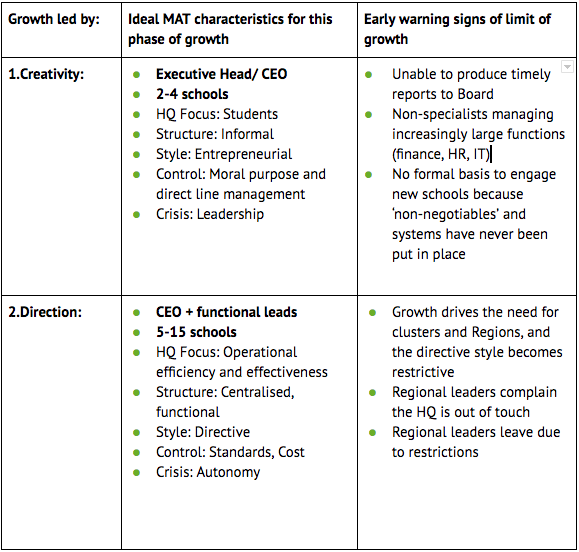 recently wrote about the 6 phases of MAT growth (and the crises that follow), explaining how as MATs grow in size and complexity the leadership style needs to flex, else crises can occur. Below Chris has summarised what type of MAT fits into what phase of growth, as well as what early warning signs to look out for to avoid the 6 common crises he highlighted from occurring. Discuss actively within the MAT leadership team and schools which phase you are in now, and where you might be headed. Self-awareness is a powerful tool. Consider whether any of the signs of crisis are present. Do these resonate with the phase of growth you are in? If so, you should consider what it would take to move to the next phase. Don’t be tempted to think you can easily cut out stages because a later one sounds more appealing. ‘Collaboration’ is naturally attractive in our sector, but it is only the appropriate HQ style in the last phase of growth because of all the systems and capabilities that were put in place before that. Otherwise you may simply be in the creative phase, but without the systems of the Directive phase that support sustainable growth. This doesn’t mean people don’t collaborate with each other until that stage – it is about the overall management style of the HQ. Like all models, this framework is a useful prompt for open discussion, but is not the whole truth. Whilst the Growth Model has long standing provenance in other industries, it has not been directly tested in the MAT sector (to my knowledge). You may find some parts of it useful, and that your MAT has characteristics of several different stages of growth. When facing clear signs that the current management style is becoming outgrown, don’t take it personally. This is a necessary part of growth, and as individuals we all have preferences and capabilities that suit us more to one phase than another. So be prepared to make the necessary changes for good of the organisation.